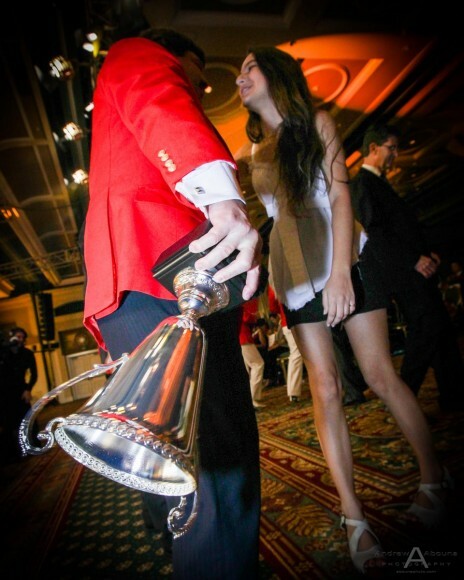 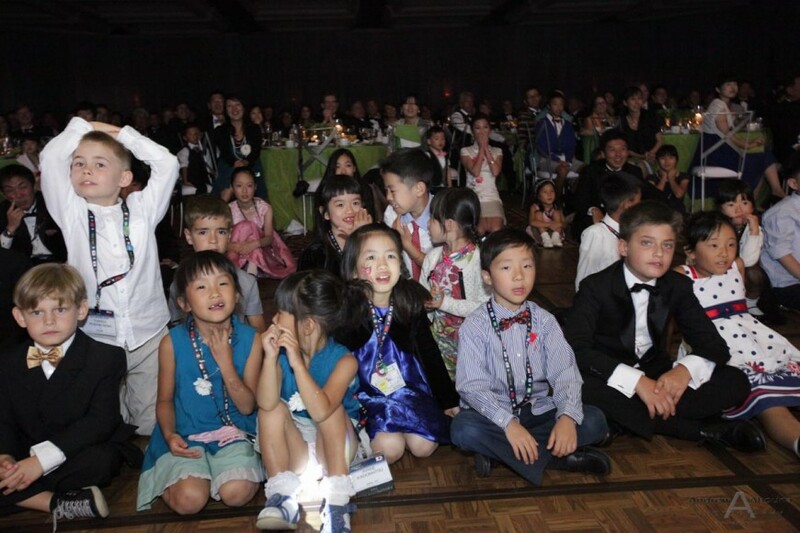 hree girls in white dresses onstage during a magician's performance at Prudential International Insurance Conference at the Manchester Grand Hyatt, San Diego, California. 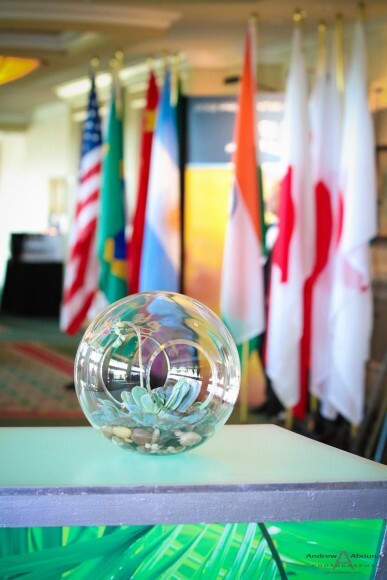 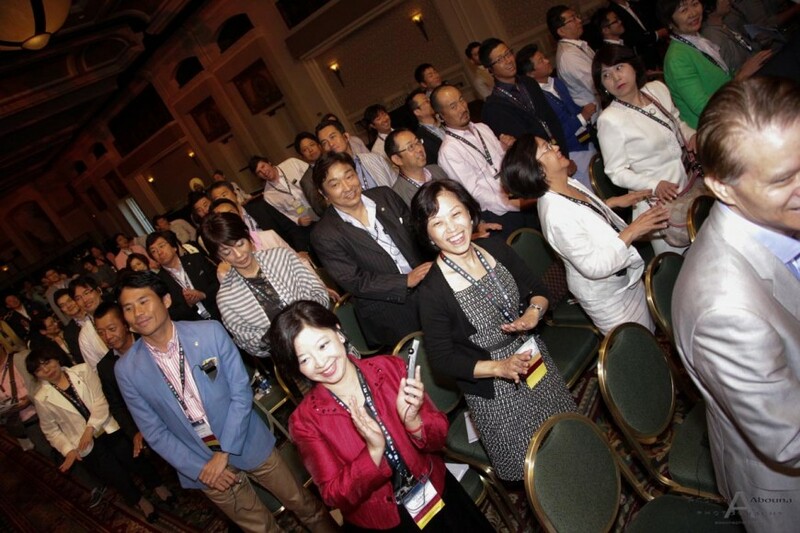 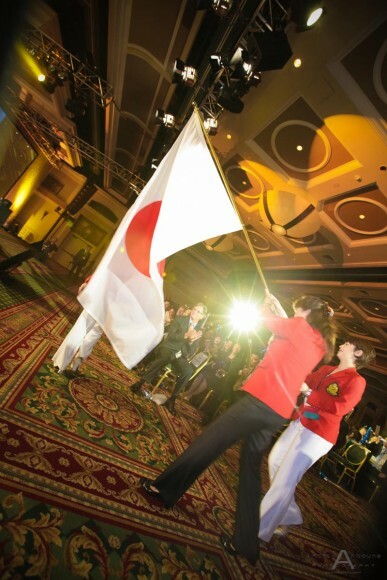 A very international event at the Manchester Grand Hyatt to celebrate the accomplishments of affiliates in 9 counties, including Japan, Korea, Taiwan, Poland, Italy, India, Brazil, Argentina, and Mexico. 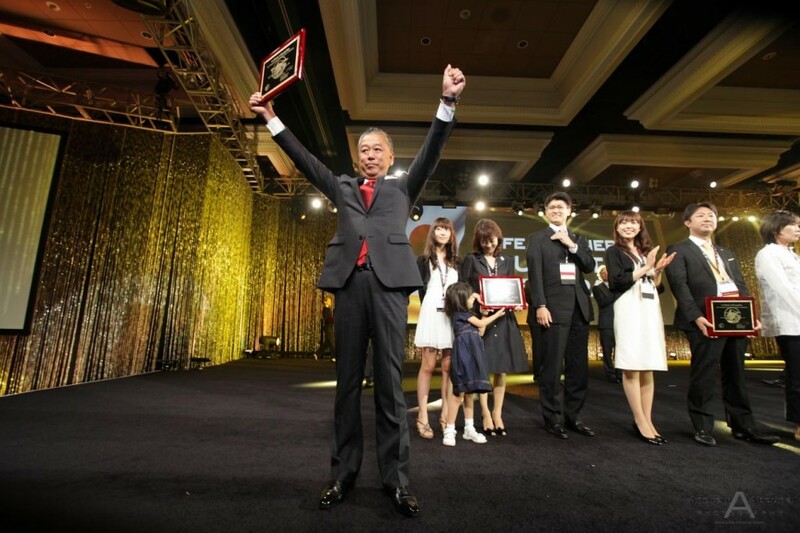 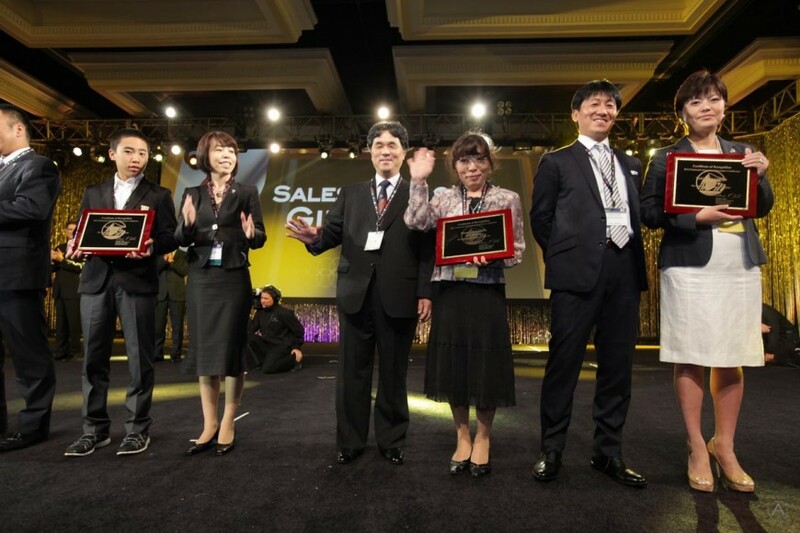 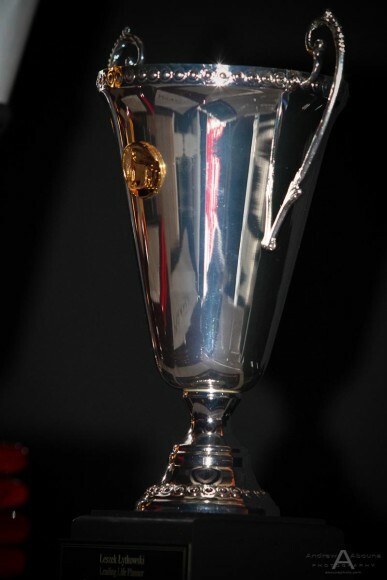 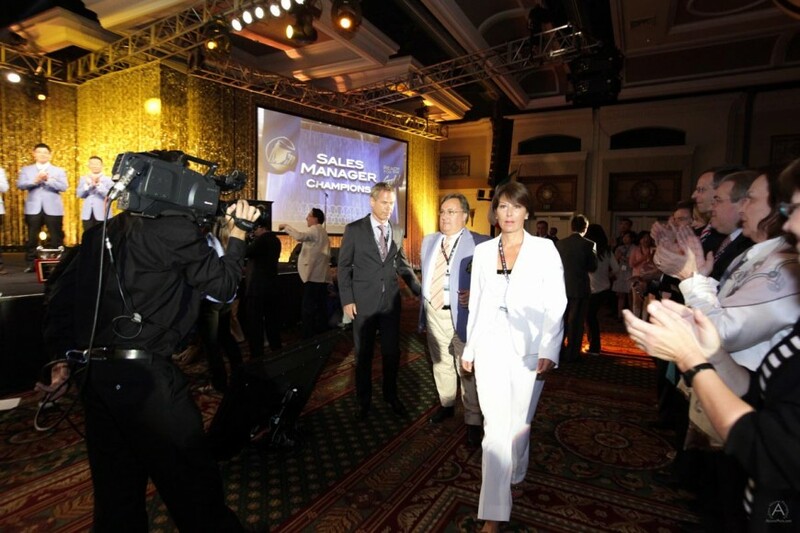 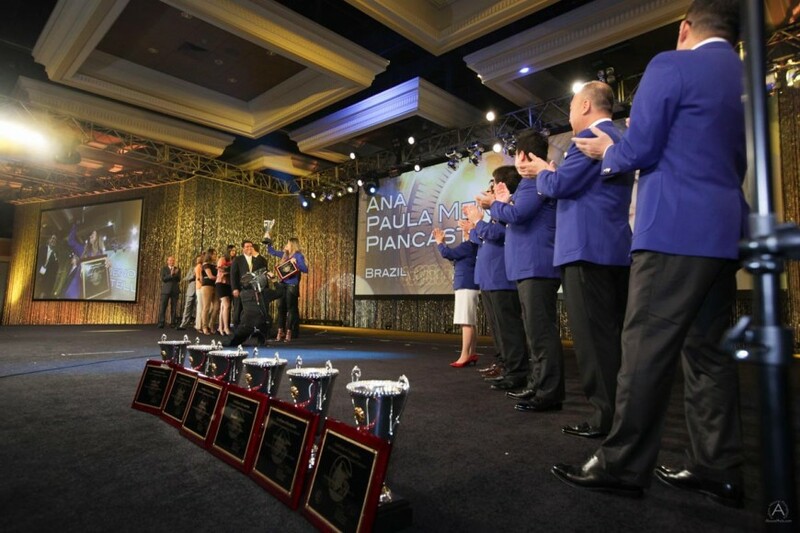 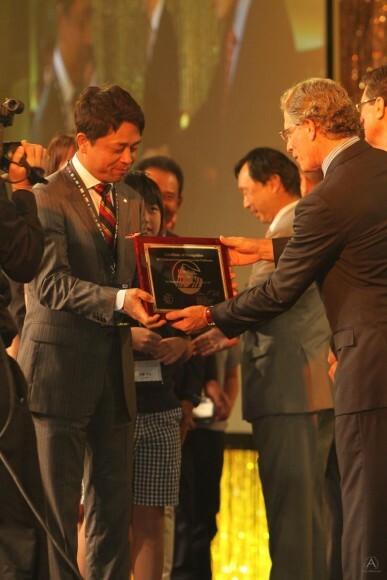 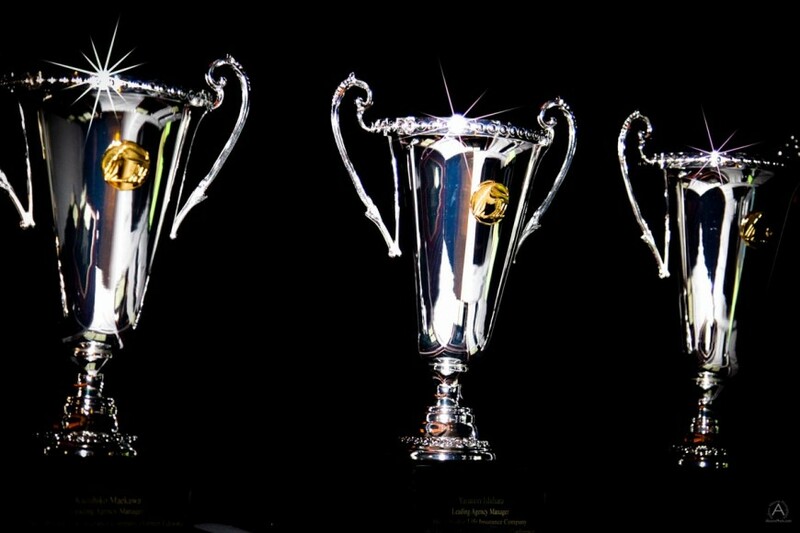 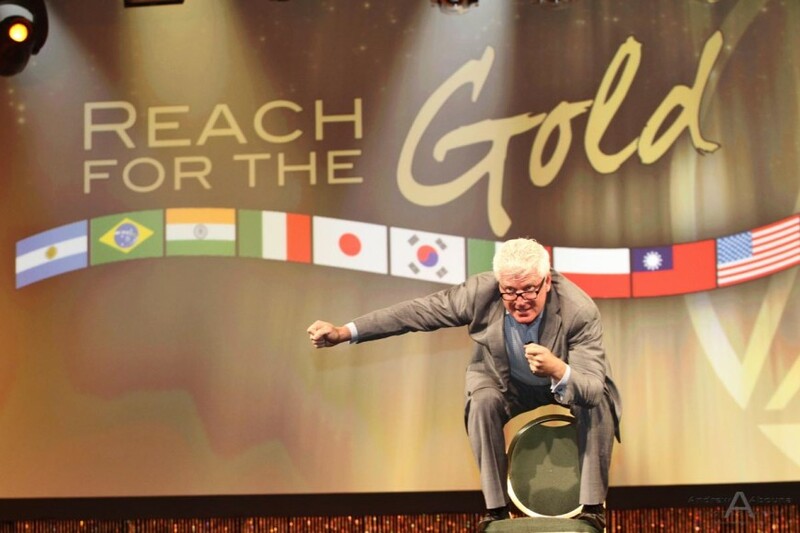 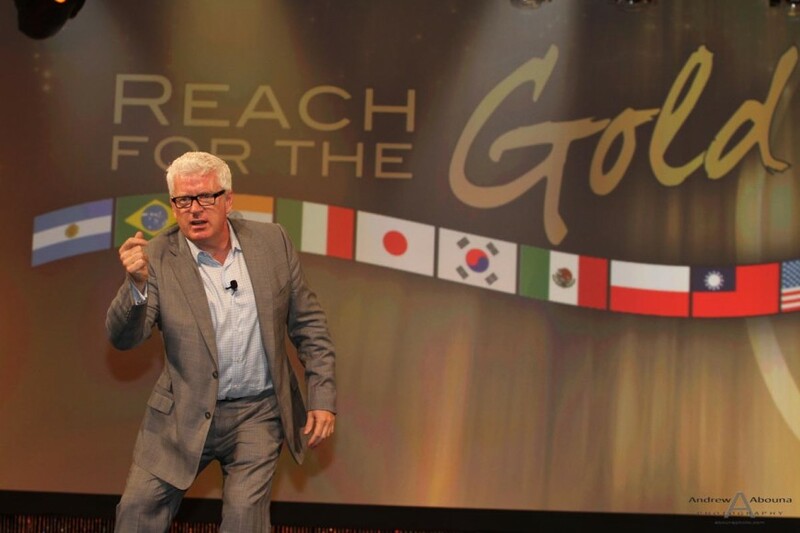 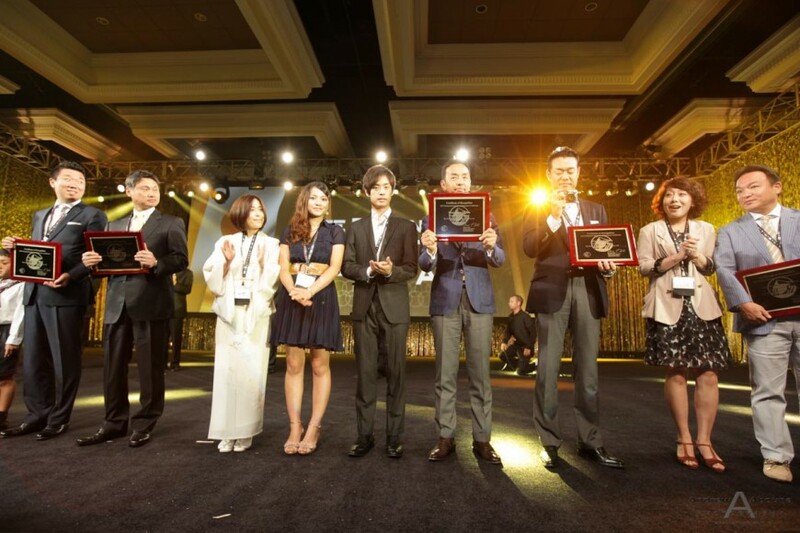 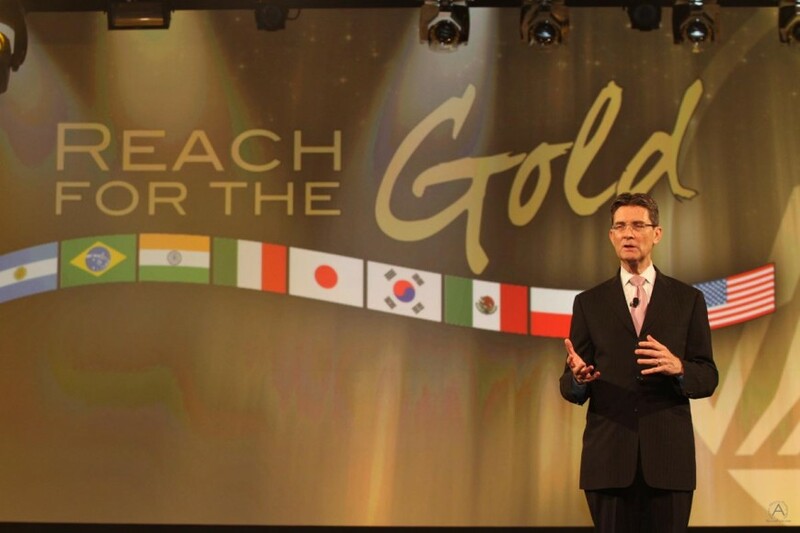 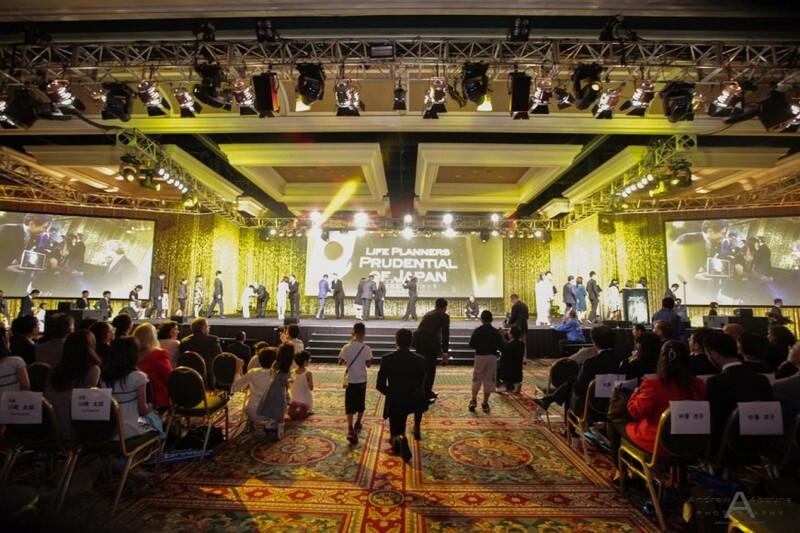 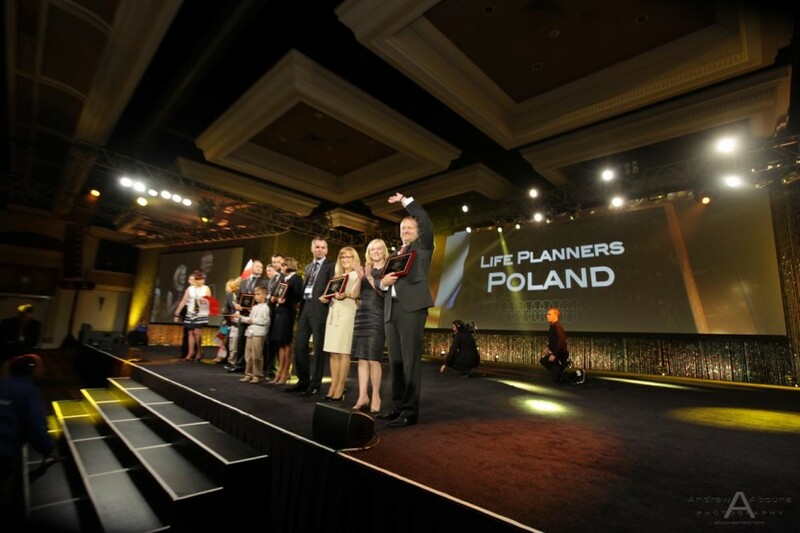 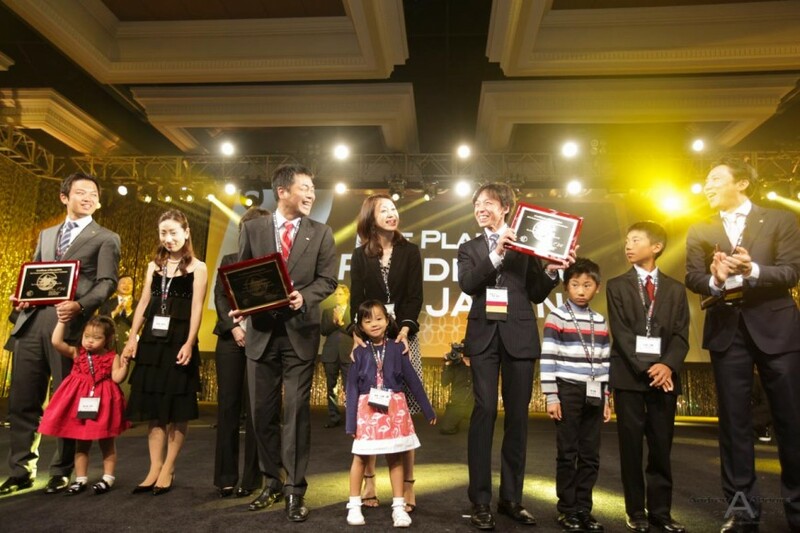 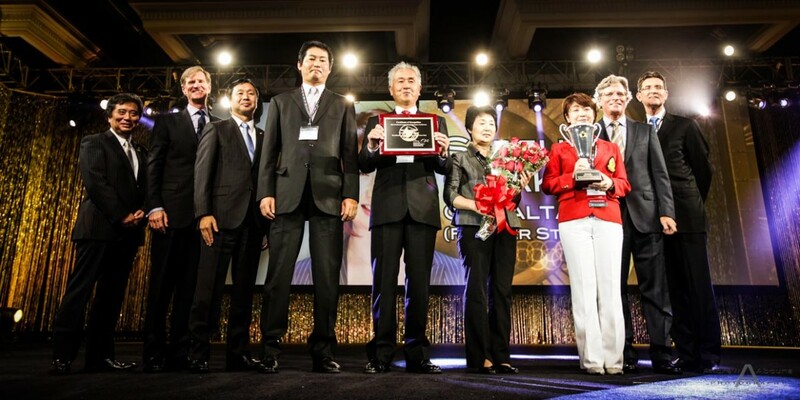 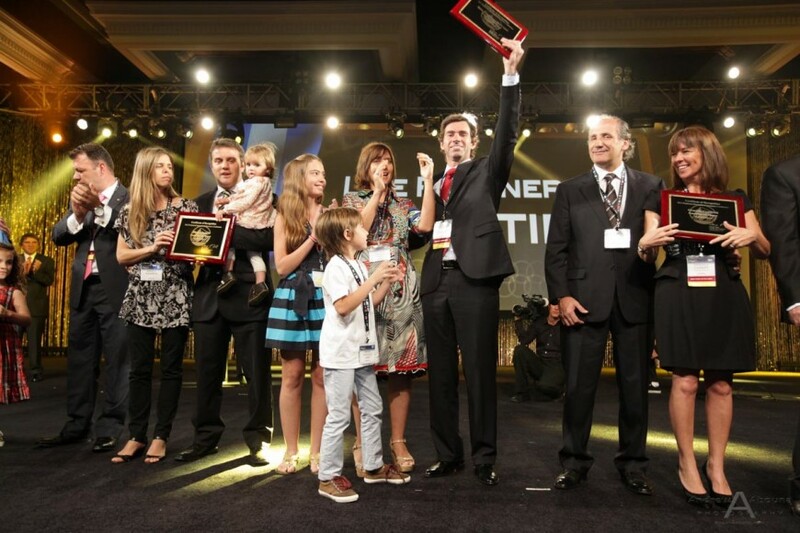 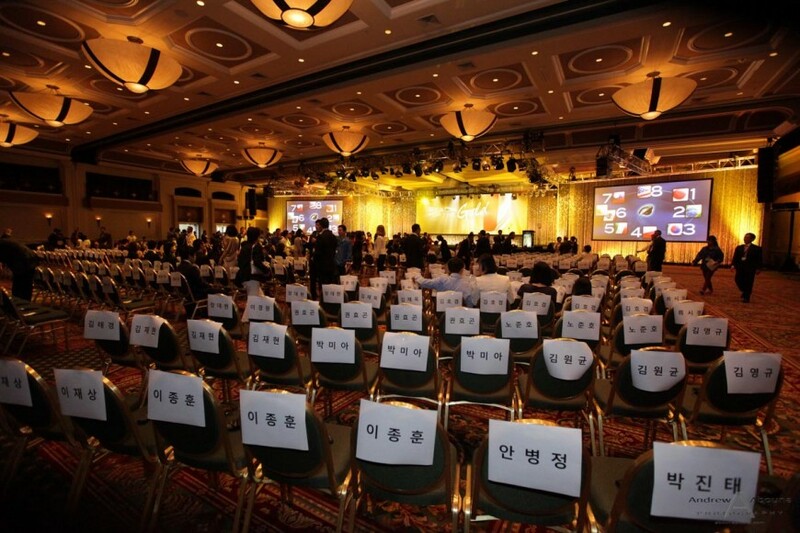 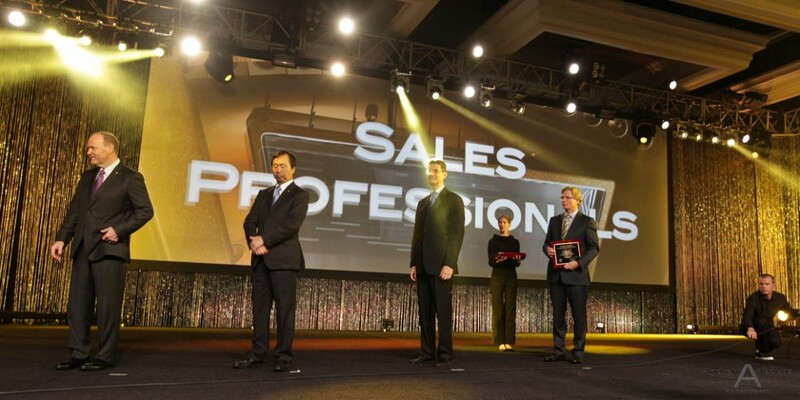 The near 1 Trillion dollar company honored top life planners and sales leaders in all countries. 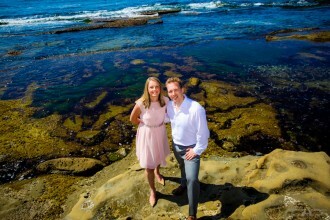 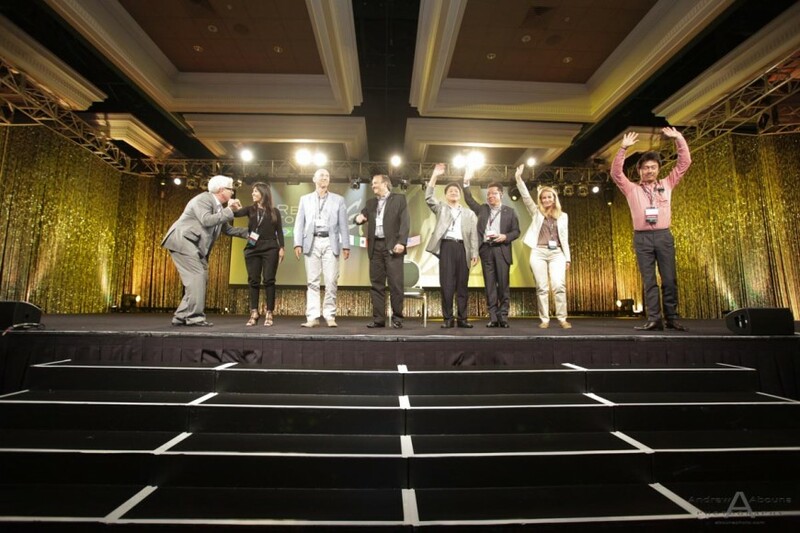 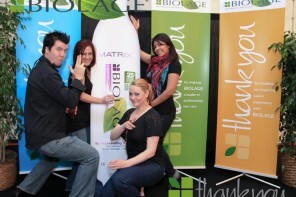 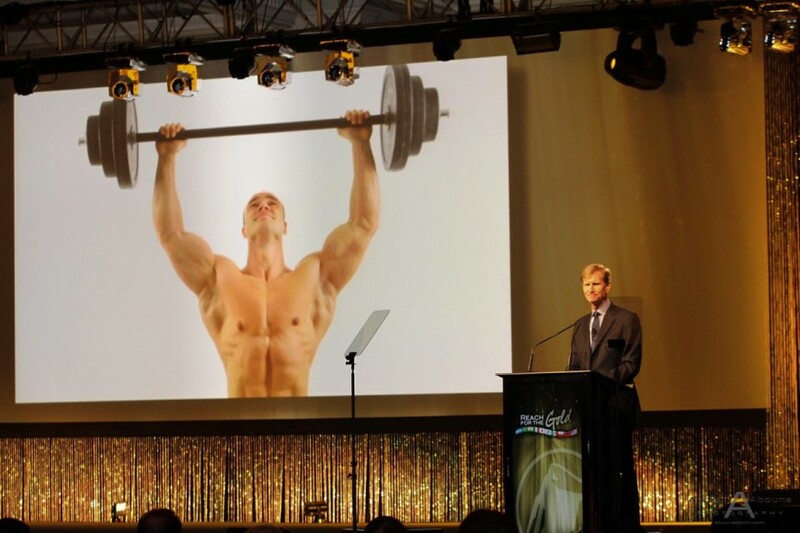 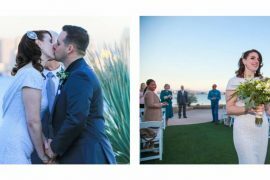 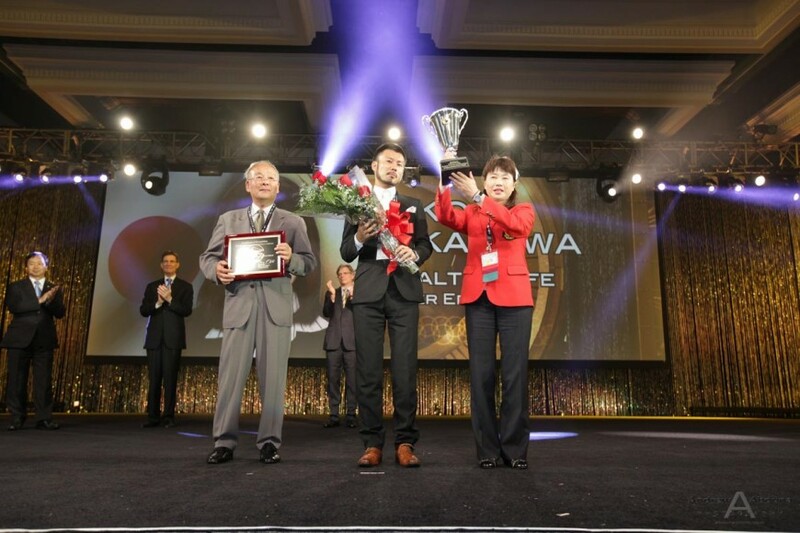 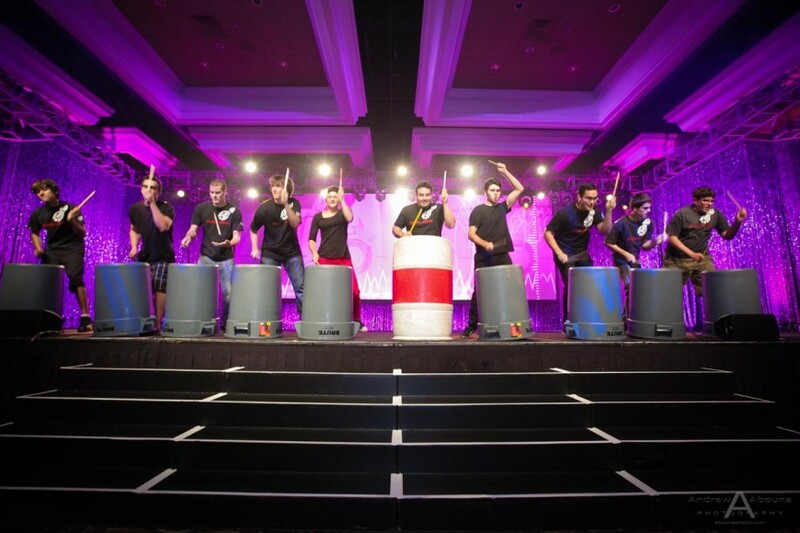 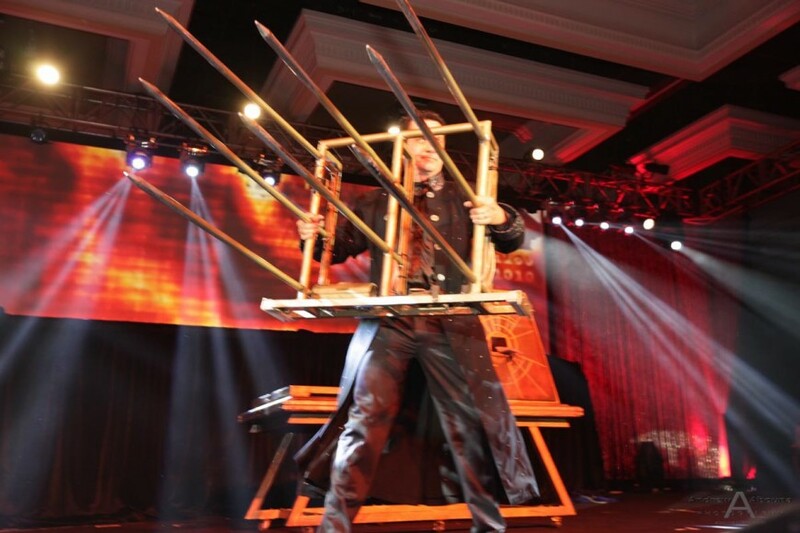 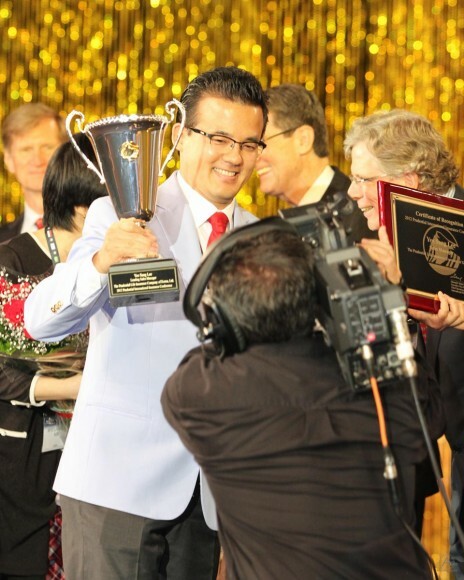 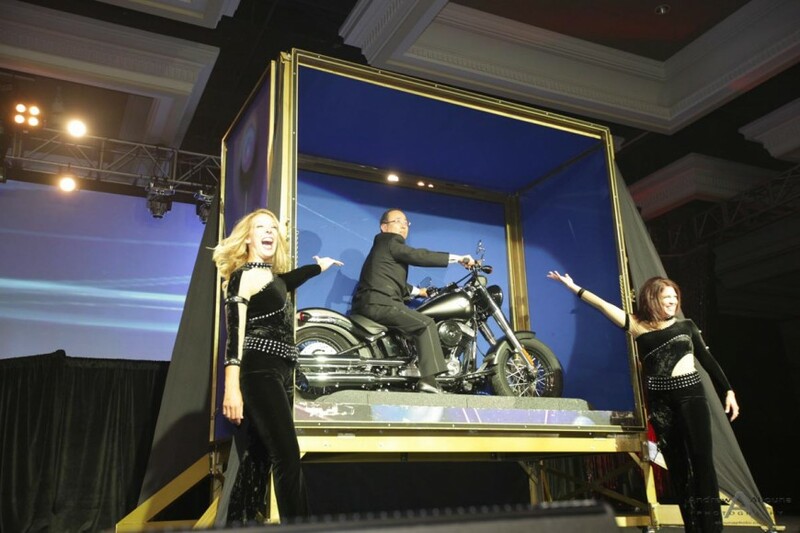 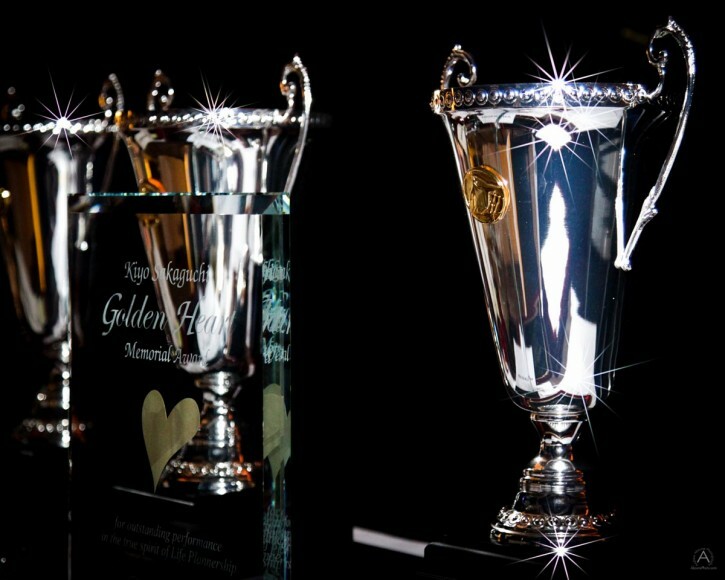 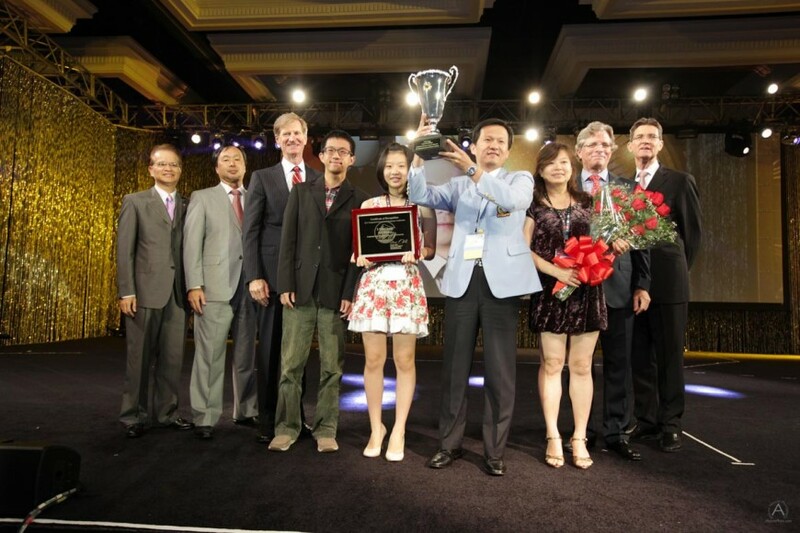 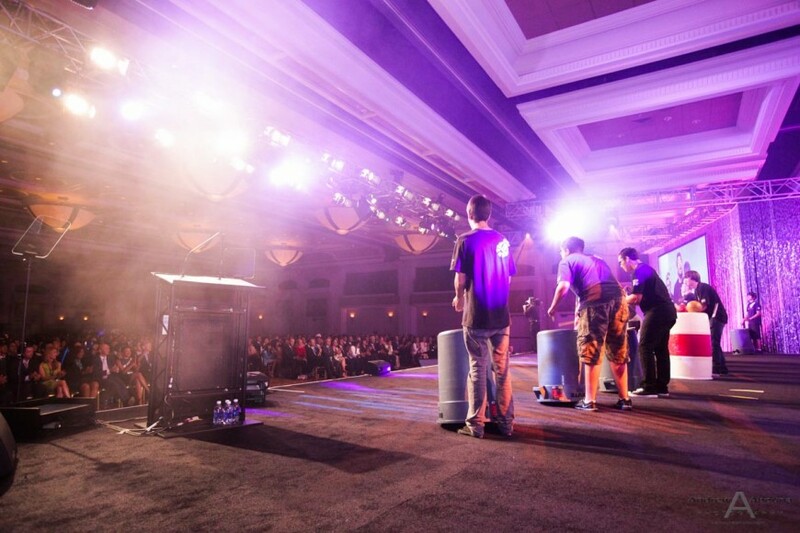 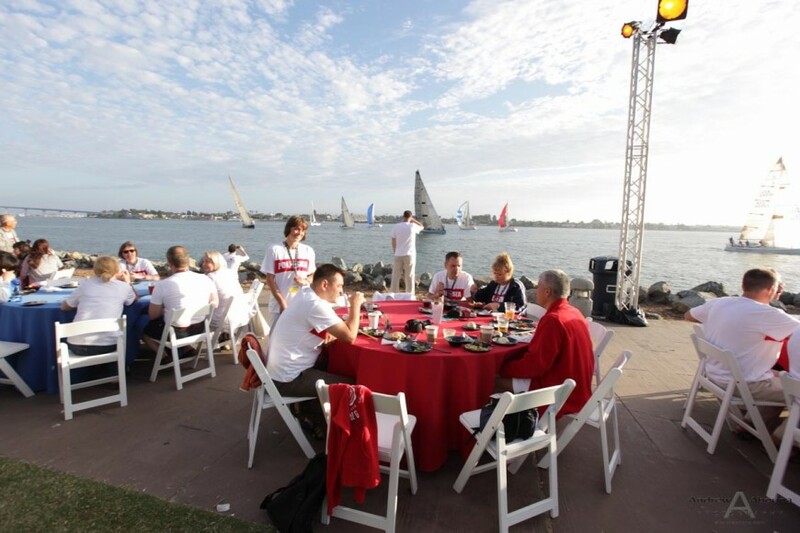 The five-days of conference photography captured a spectacular array of awards ceremonies, presentations, receptions, entertainment and variety of event venues in San Diego, California. 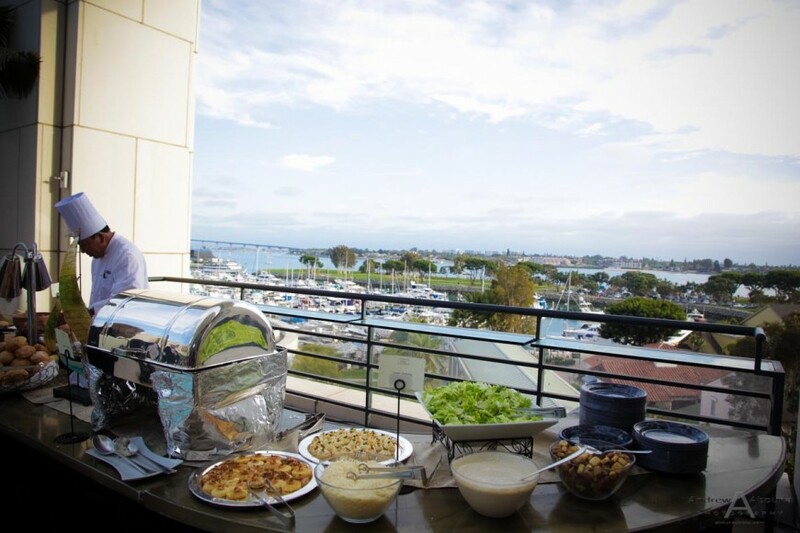 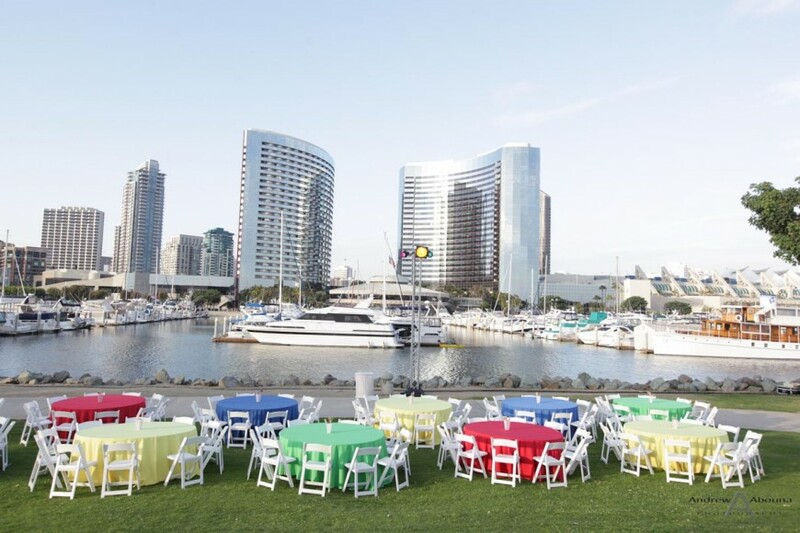 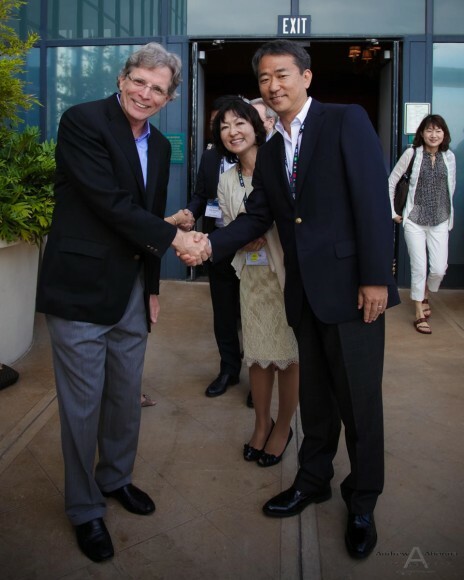 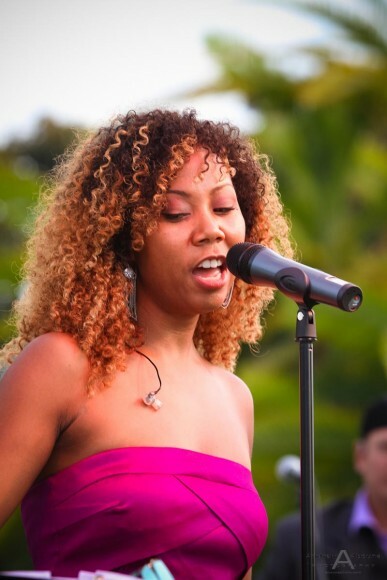 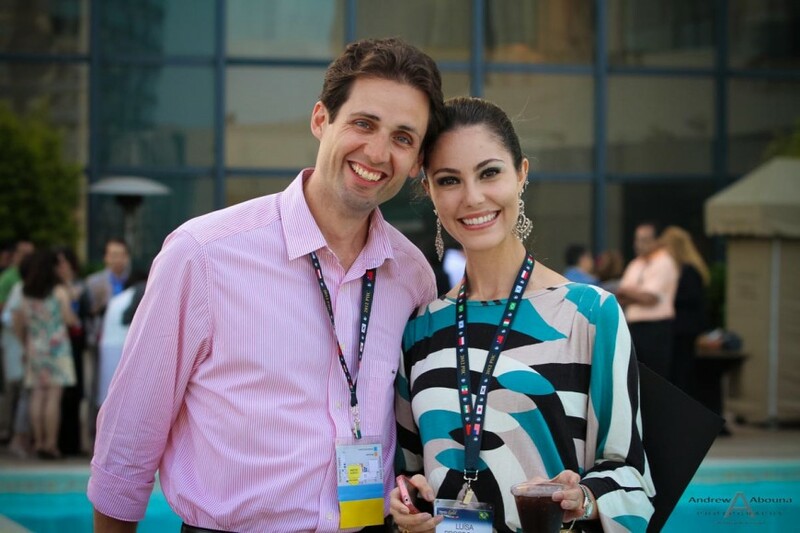 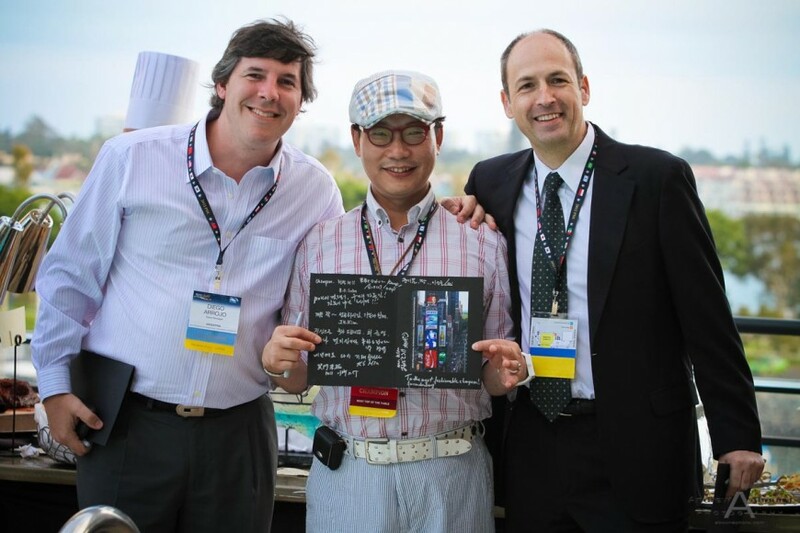 The near week-long event began for all conference attendees with a welcome party near Seaport Village at the Embarcadero Marina Park North, directly across from the Manchester Grand Hyatt and Marriott Marquis San Diego Marina. 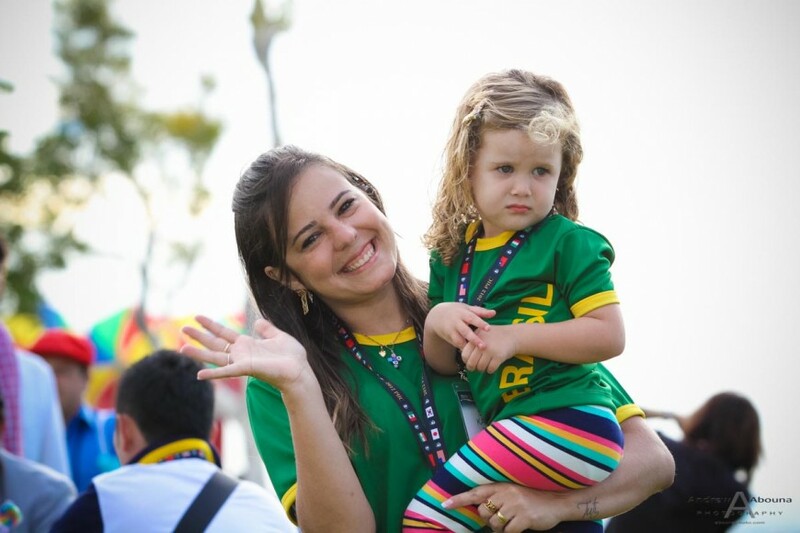 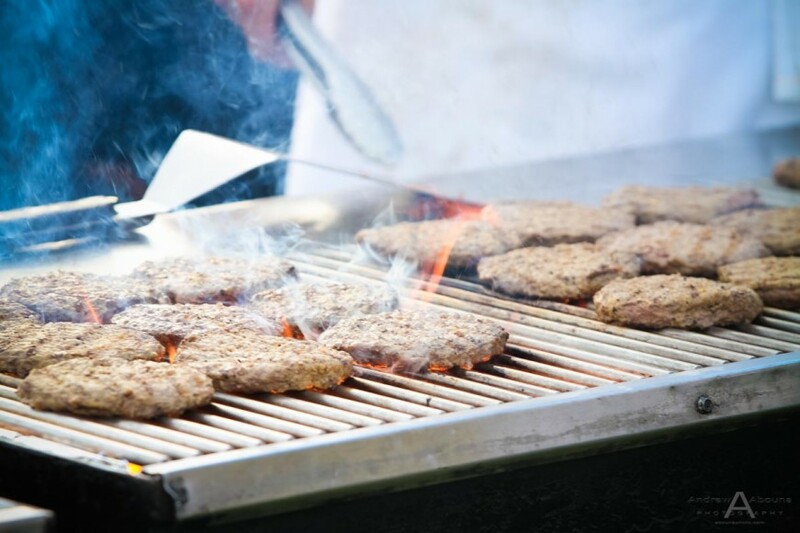 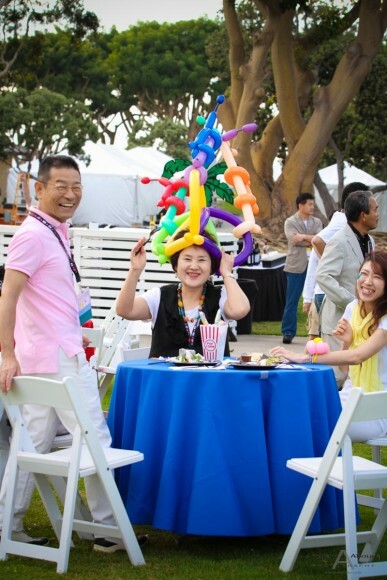 The evening fun included catered BBQ-style food, bar, and an arrangement of carnival activities for participants and family of the conference attendees. 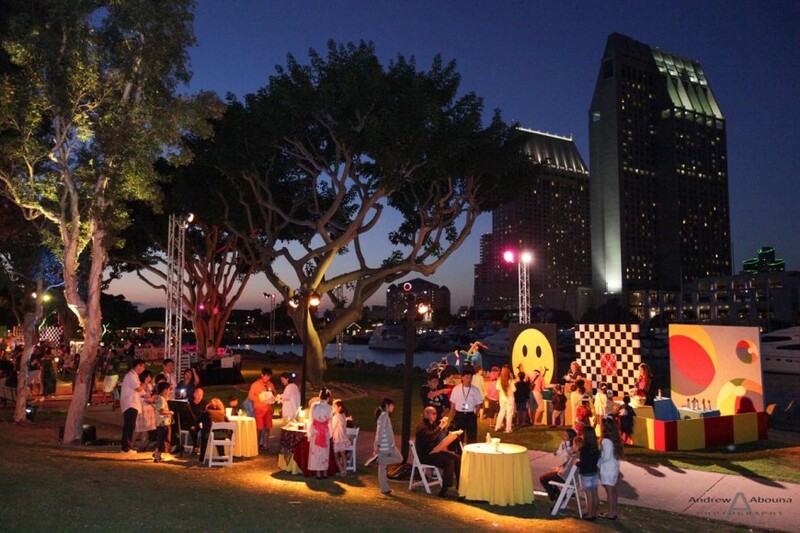 Event and conference photography for the San Diego waterfront event captured the fun atmosphere of the evening, including the first of two performances The Zippers dance band. 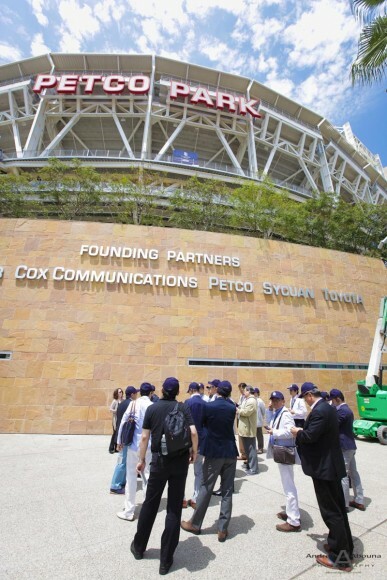 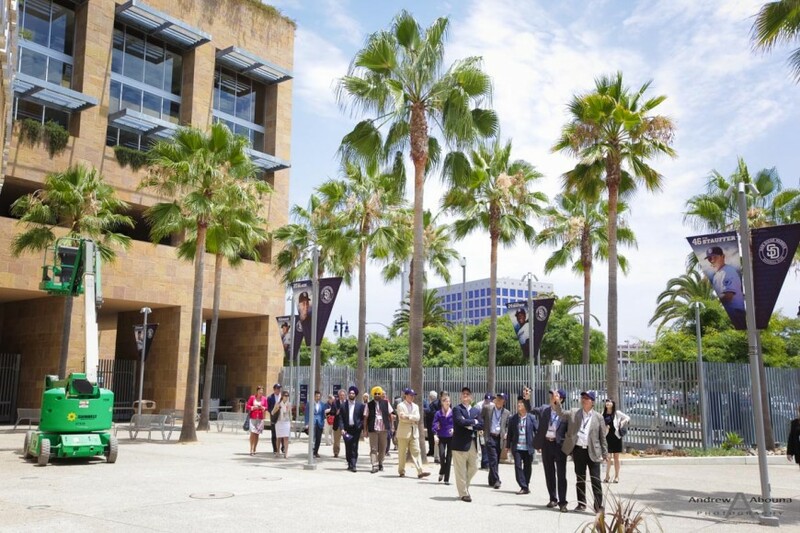 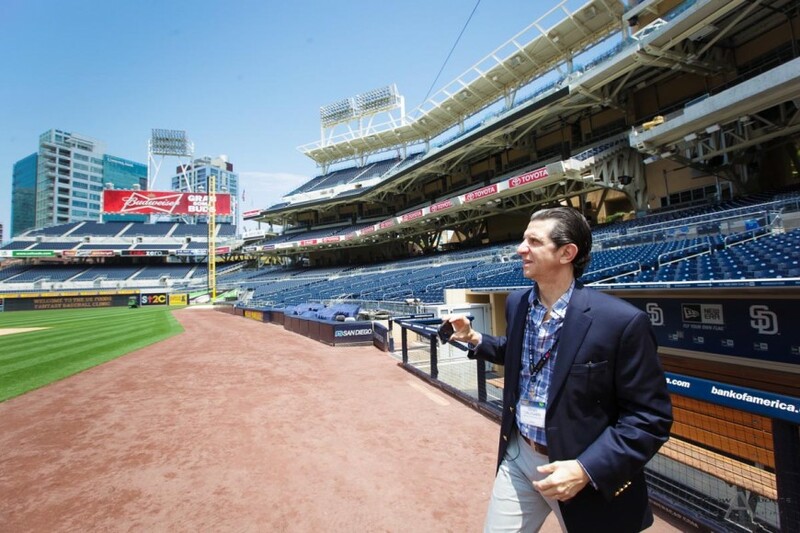 The day prior, however, a group of Prudential conference attendees had the opportunity to tour Petco Park, San Diego’s downtown ballpark. 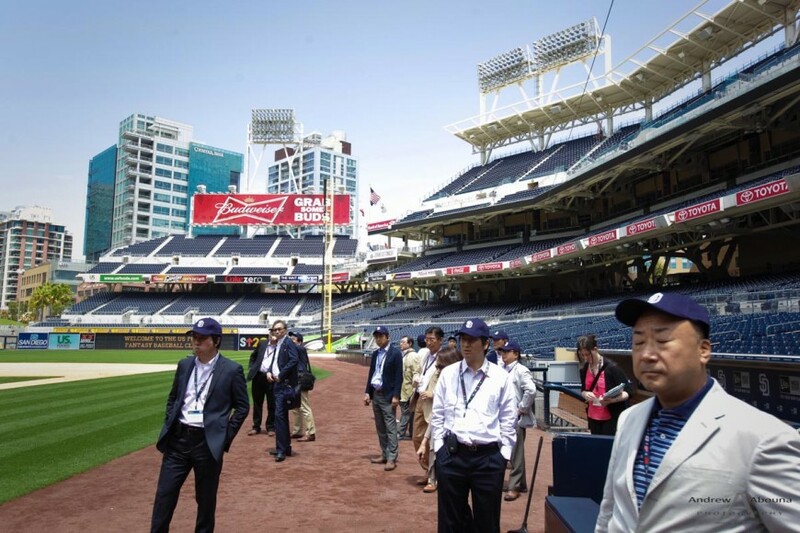 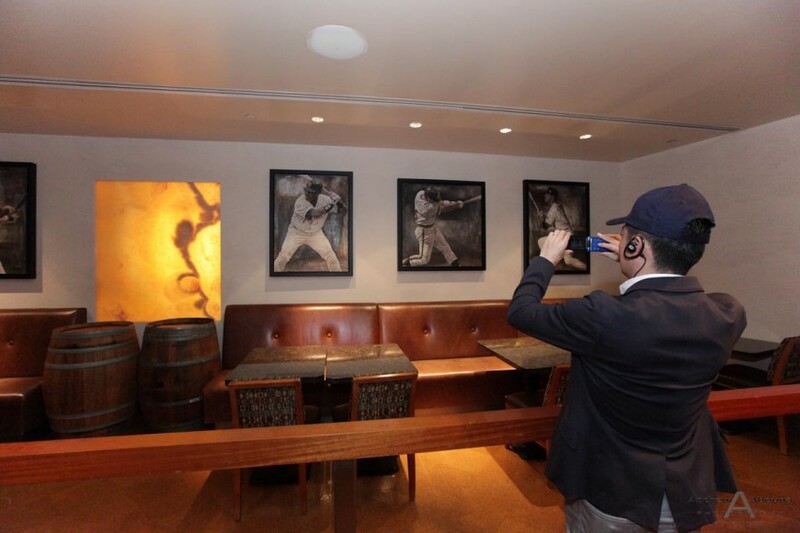 The part of the conference photography was quite interesting because of some of the exclusive views inside the baseball stadium. 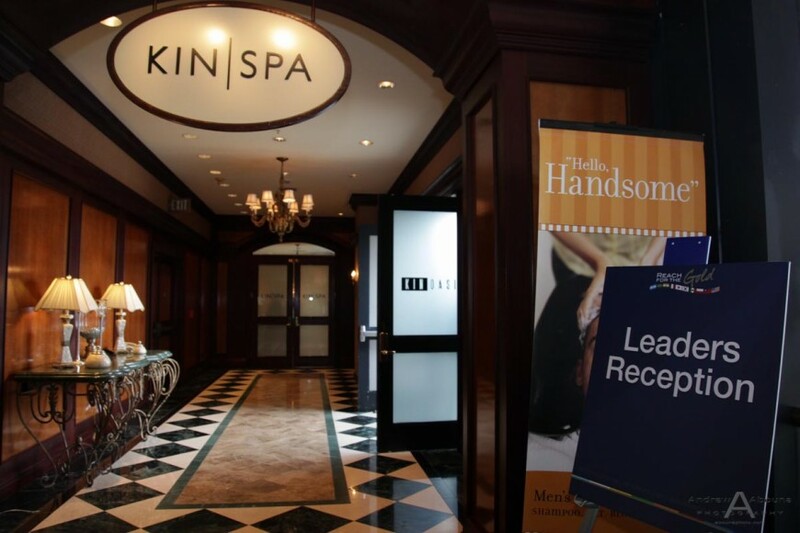 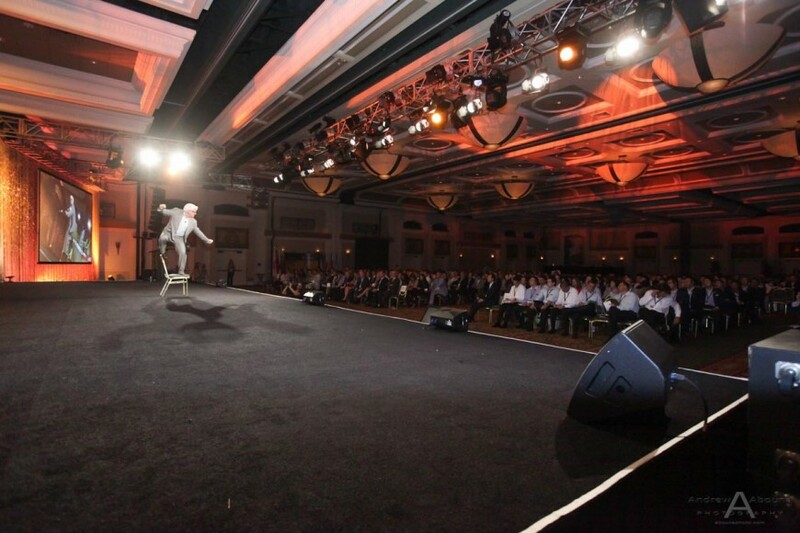 The conference attendees were quite excited about the experience. 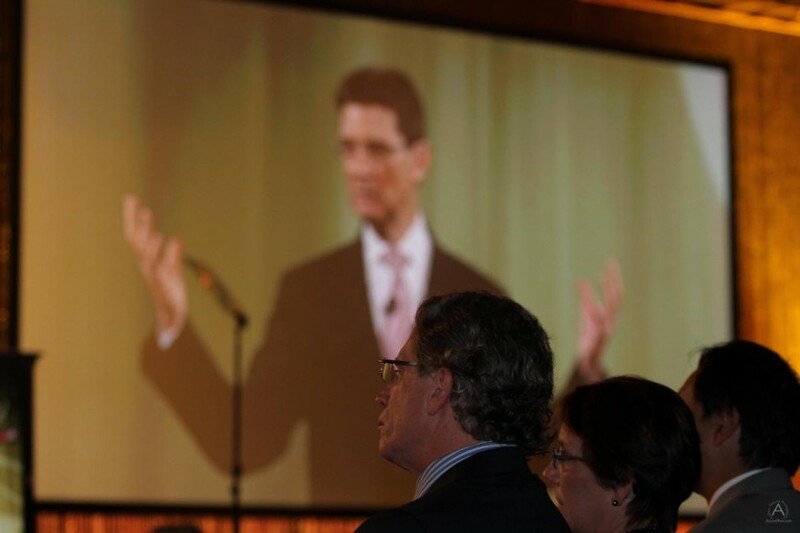 Conference photography for the event really got in to high gear on the third day with the opening remarks by Prudential’s top executives, including CEO John Strangfeld. 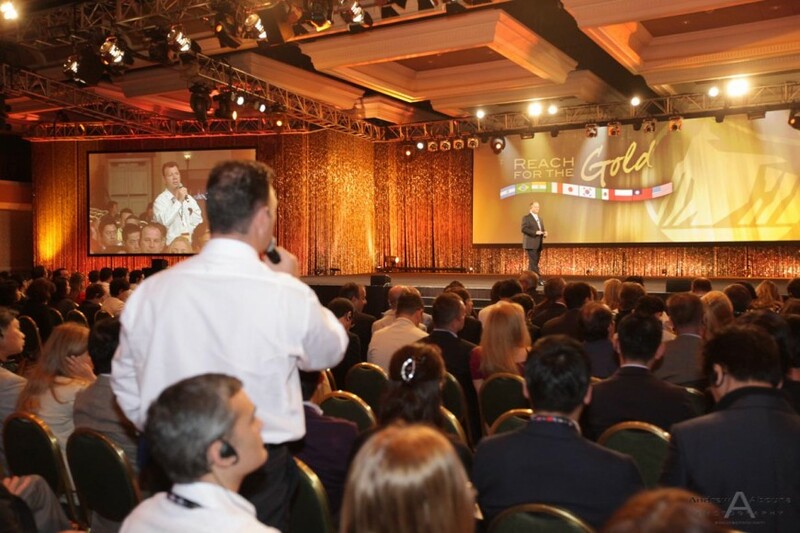 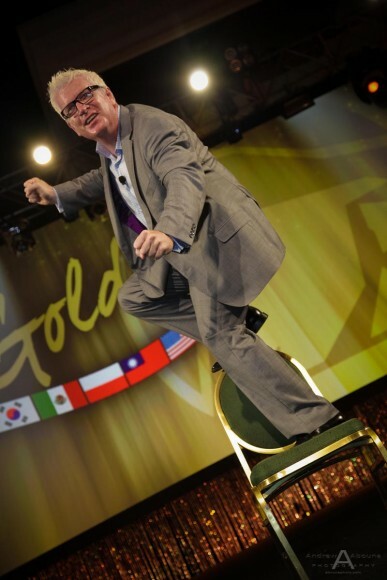 This lead into a captivating and very inspirational presentation by Olympic Athlete and NY Times Bestselling Author Vince Poscente which literally had the audience on their feet with great enthusiasm. 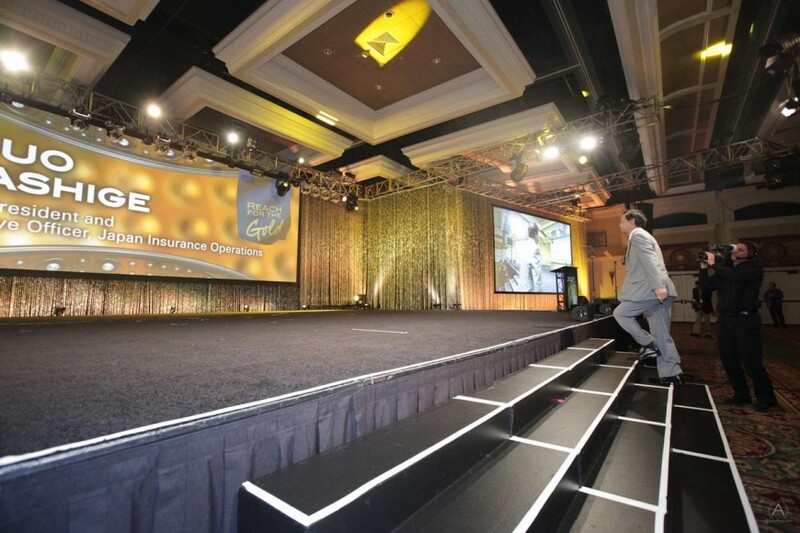 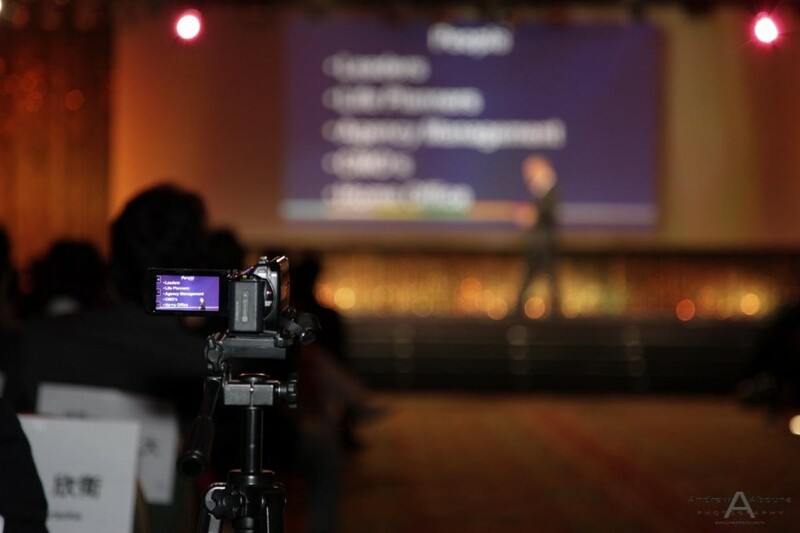 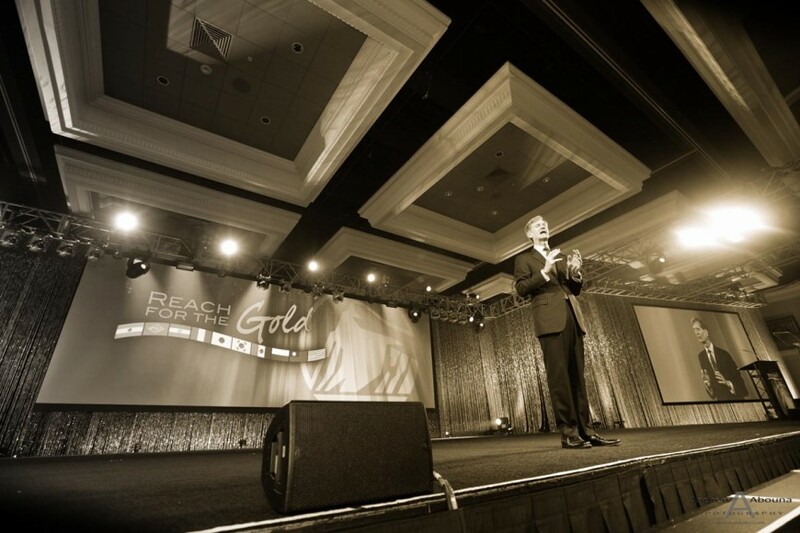 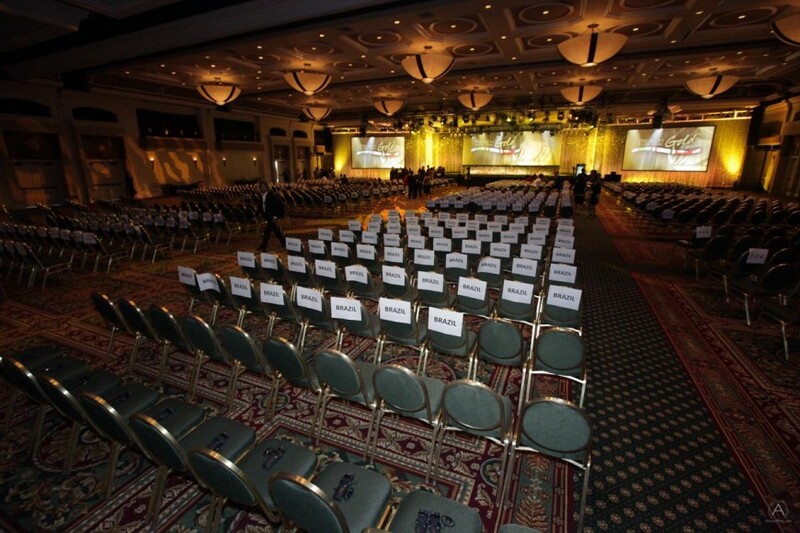 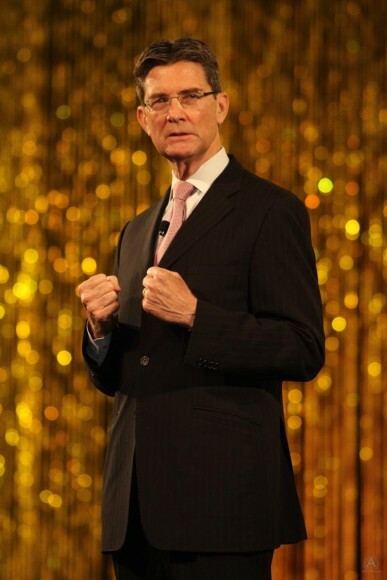 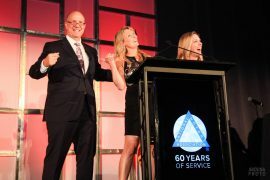 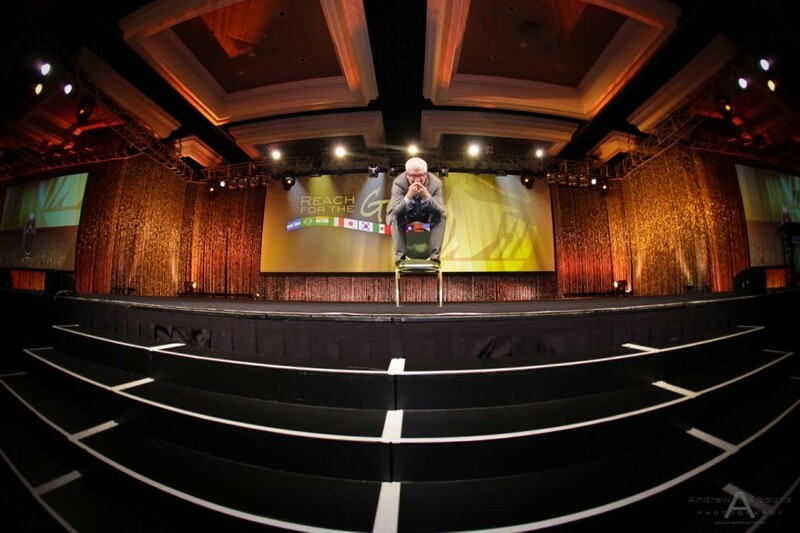 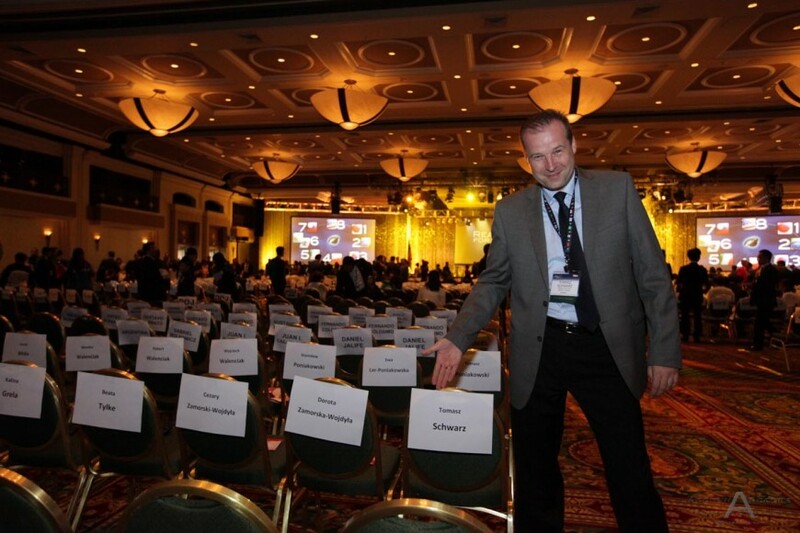 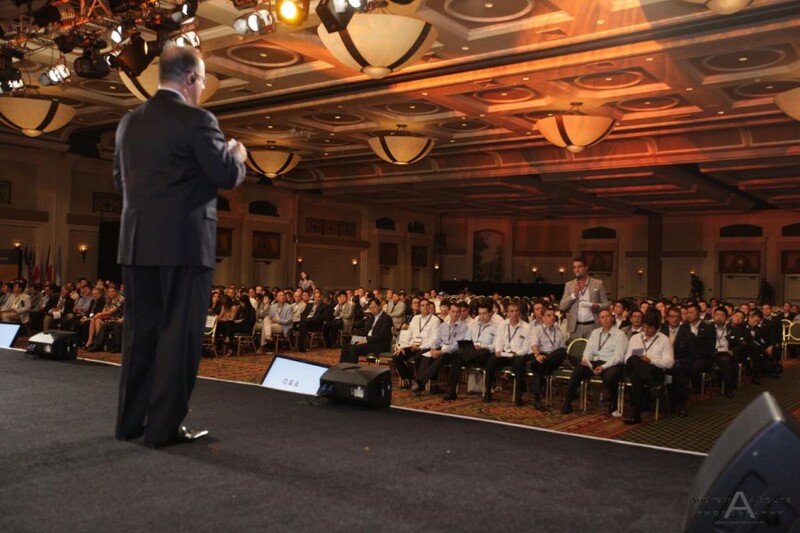 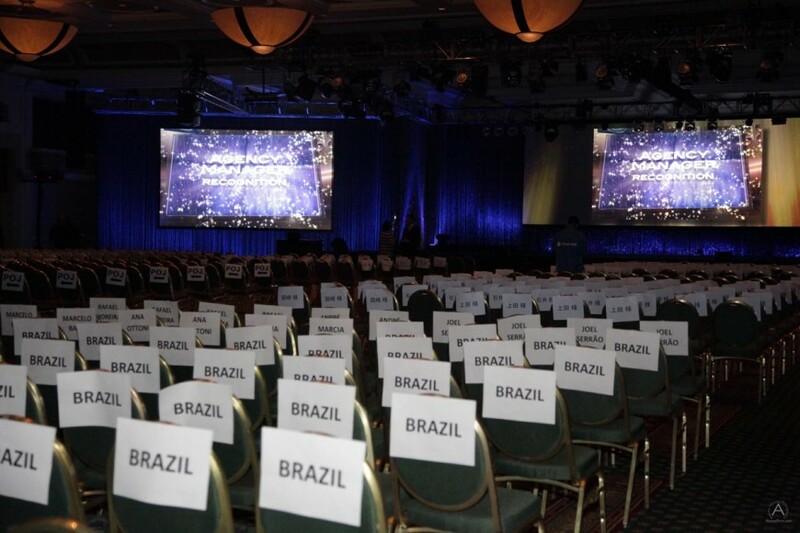 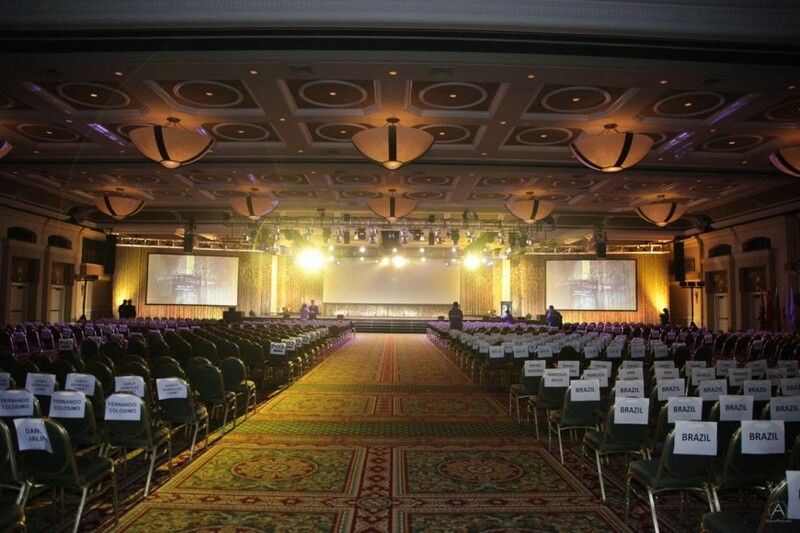 The general session of this day included a range of presentations by Prudential executives, which was documented for the company through event photography. 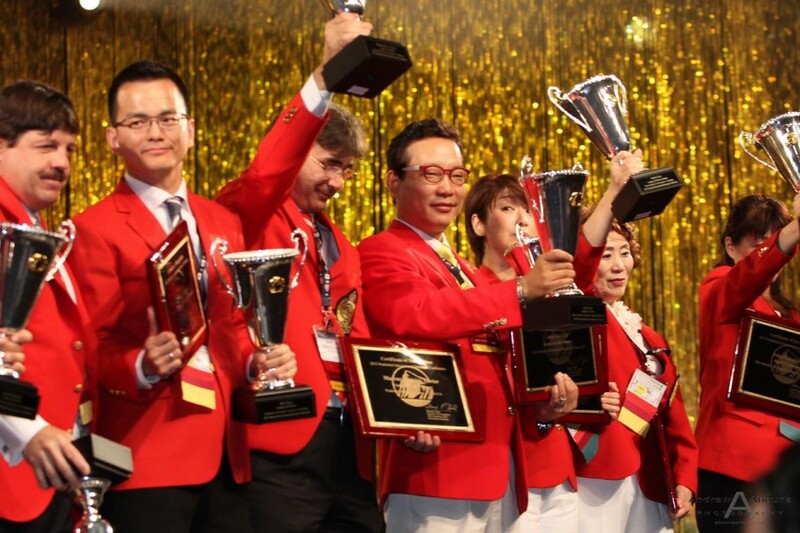 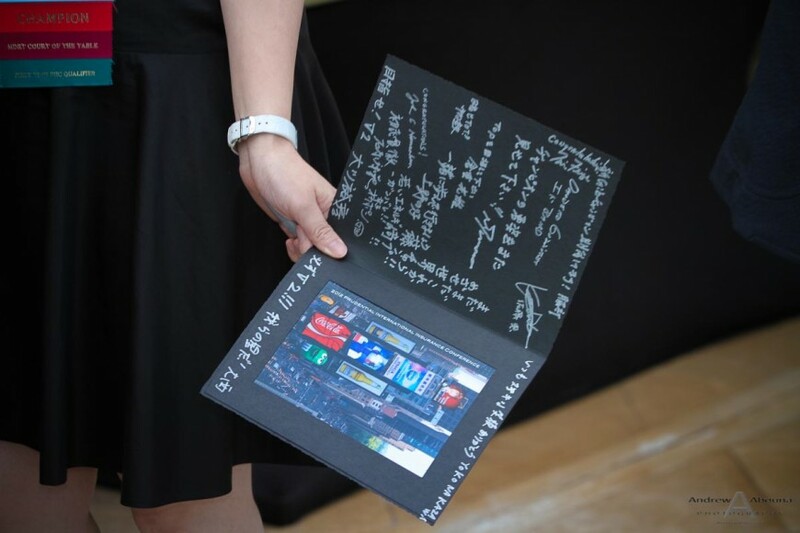 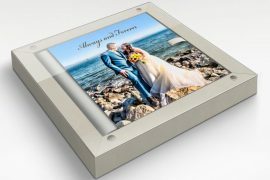 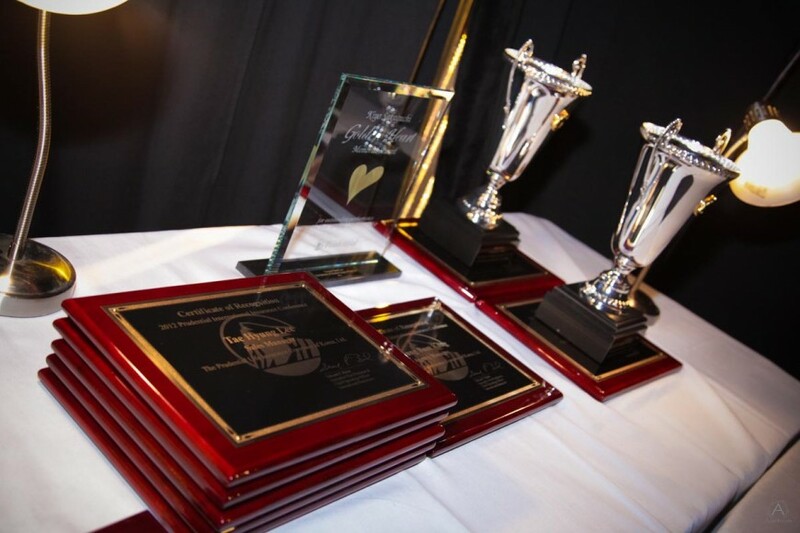 The next two days, four and five ,were big awards celebration days which, because of the large audience of over 500 attendees and excitement of the many awards, required me to provide extremely fast-paced and dynamic conference photography. 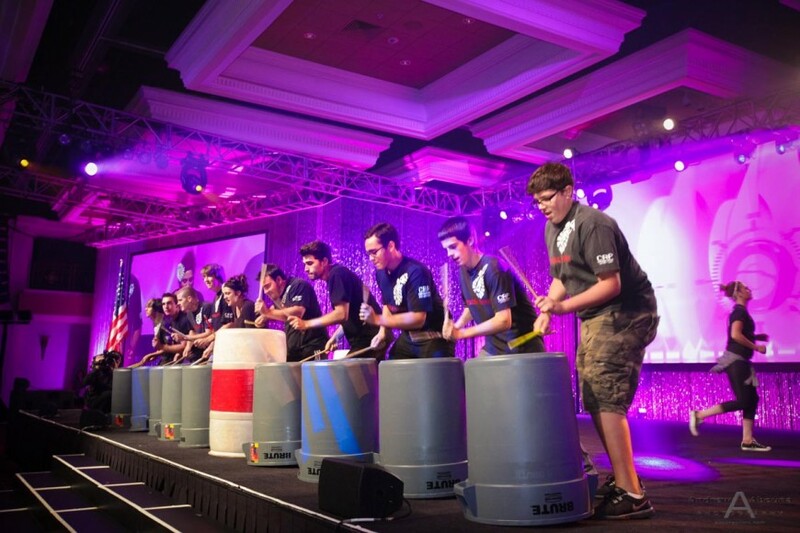 The fourth day began with thunderous and fun entertainment of percussion by JR Crew Drumming. 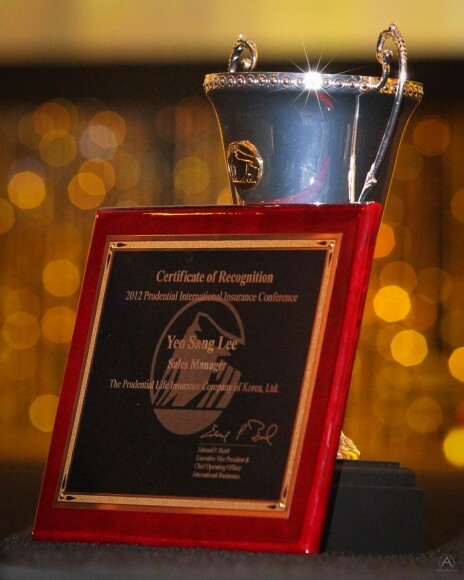 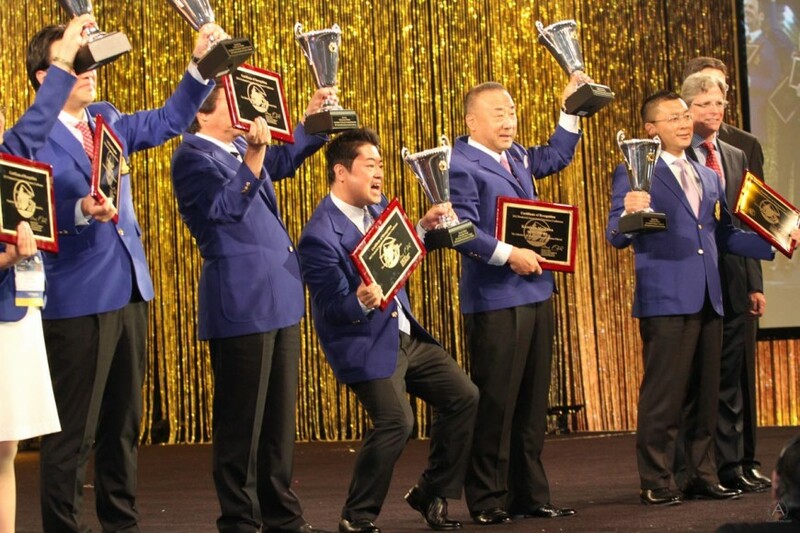 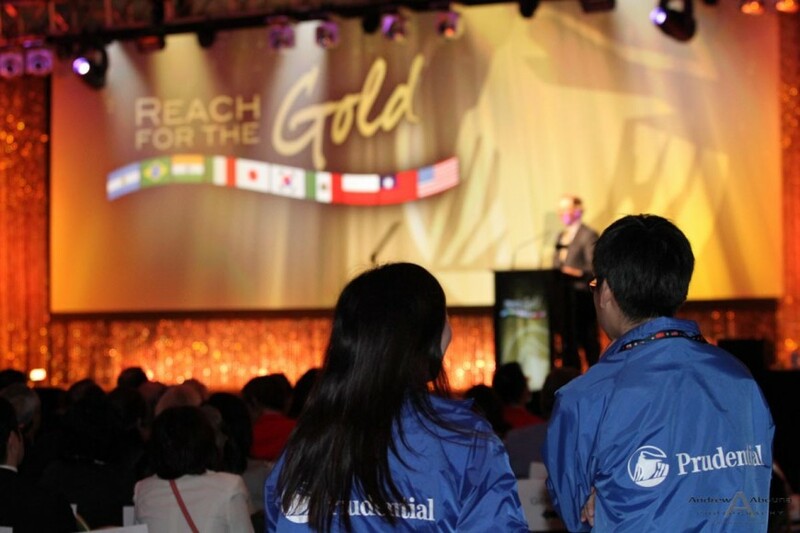 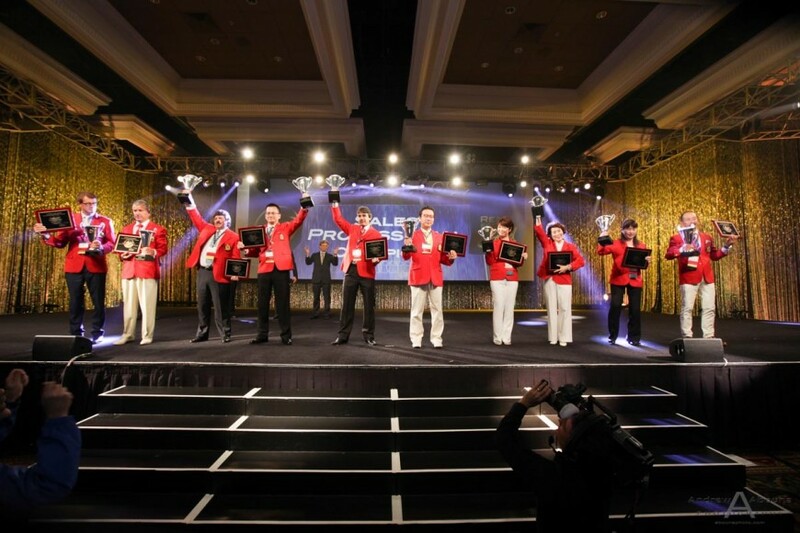 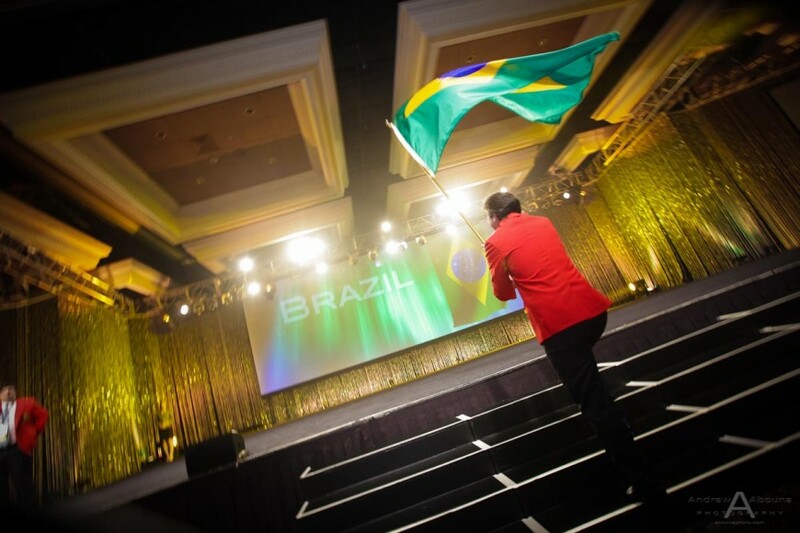 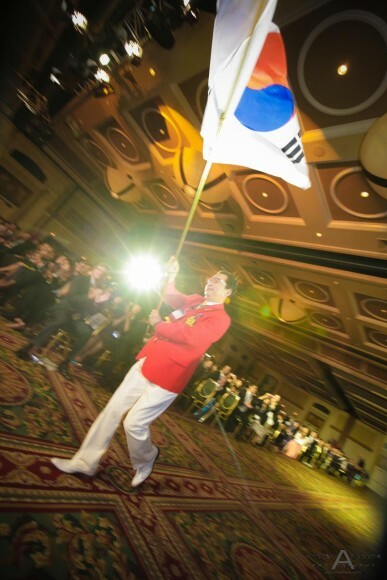 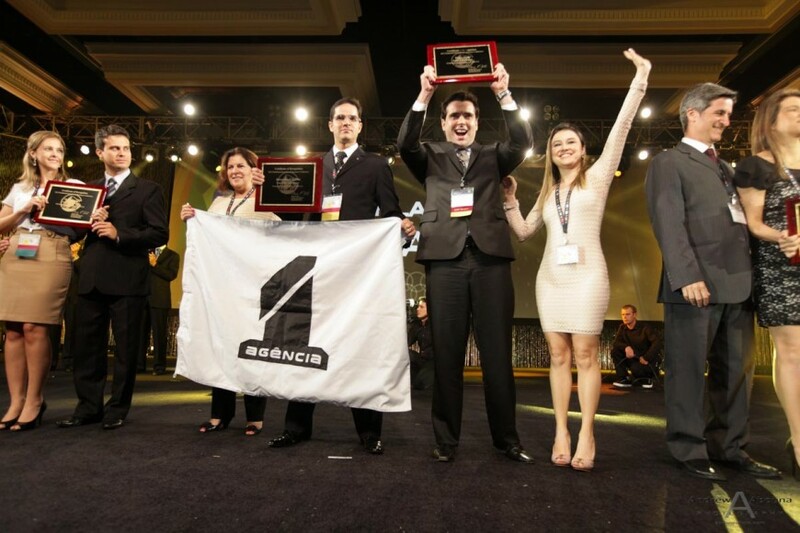 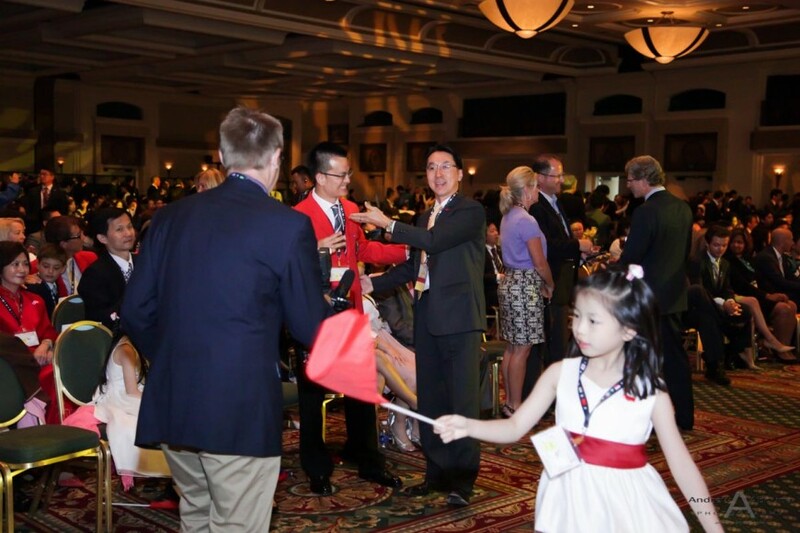 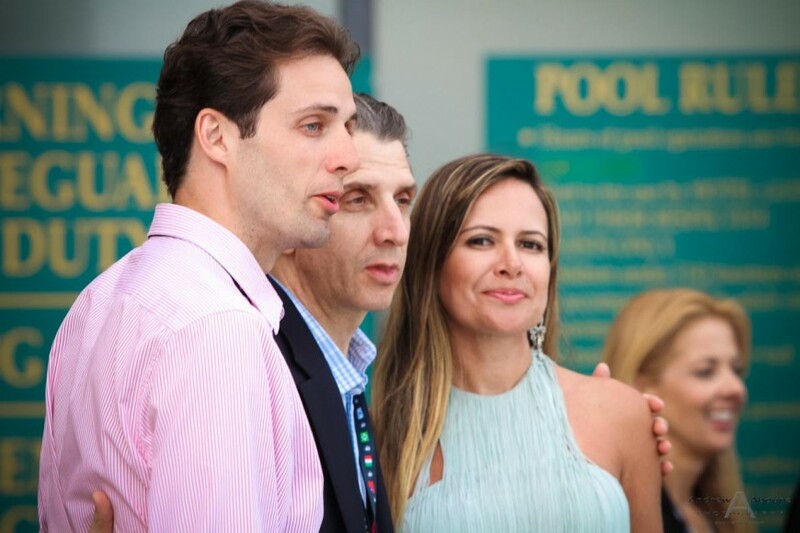 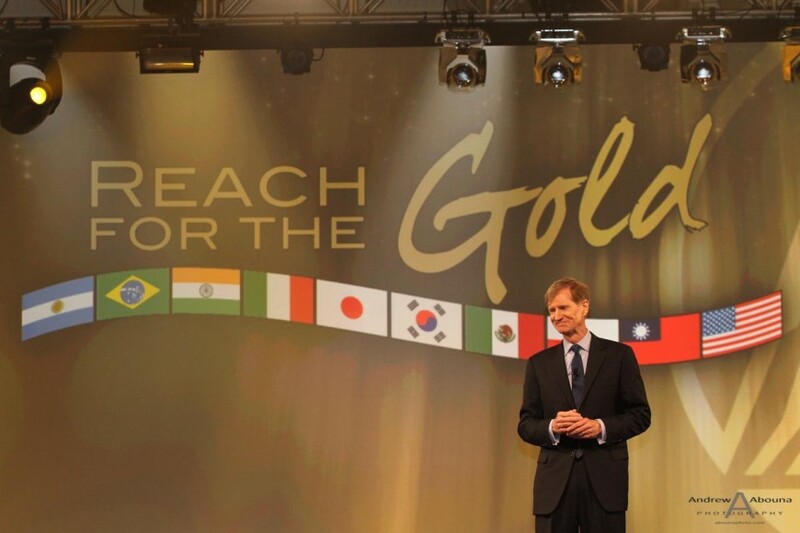 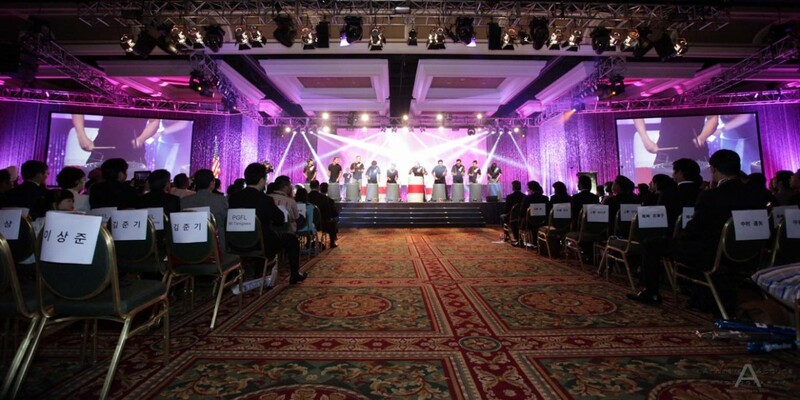 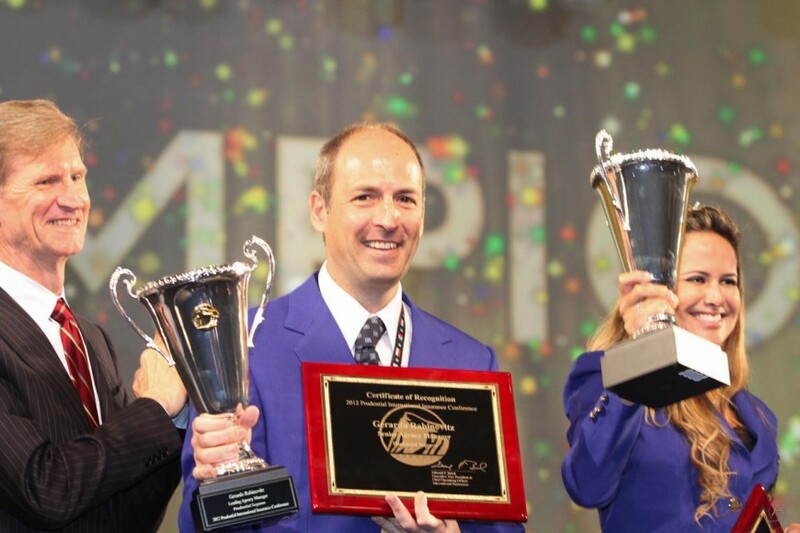 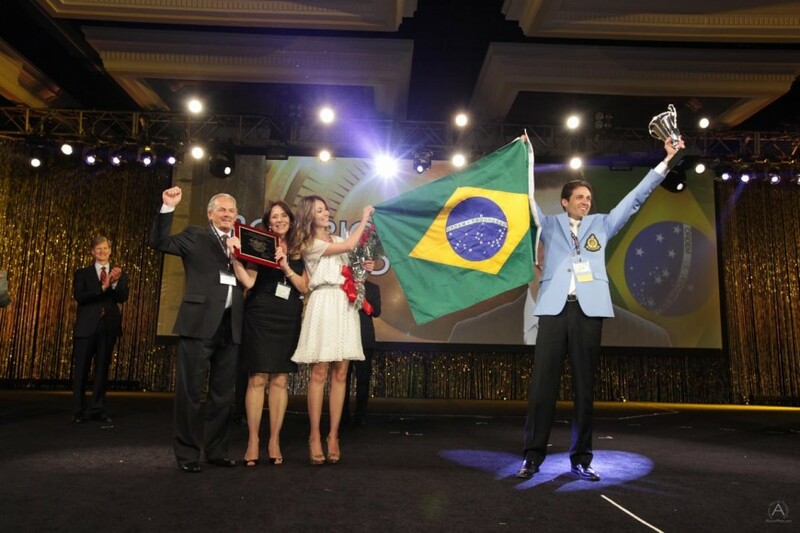 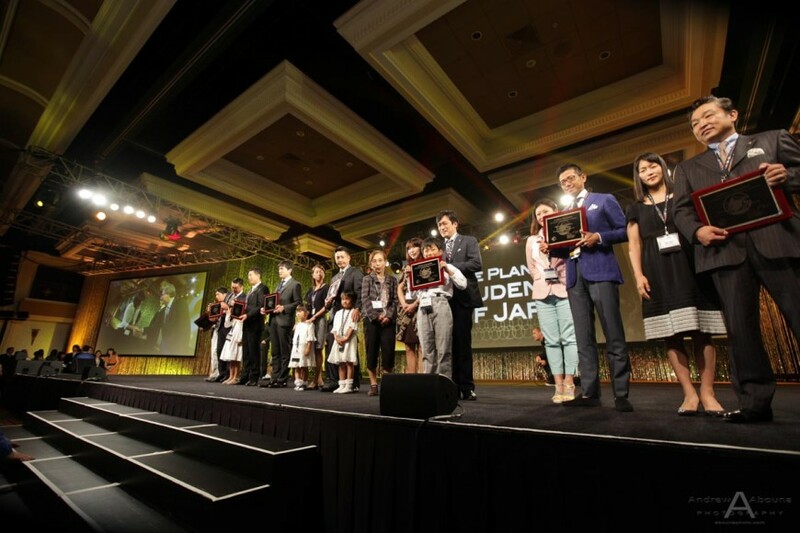 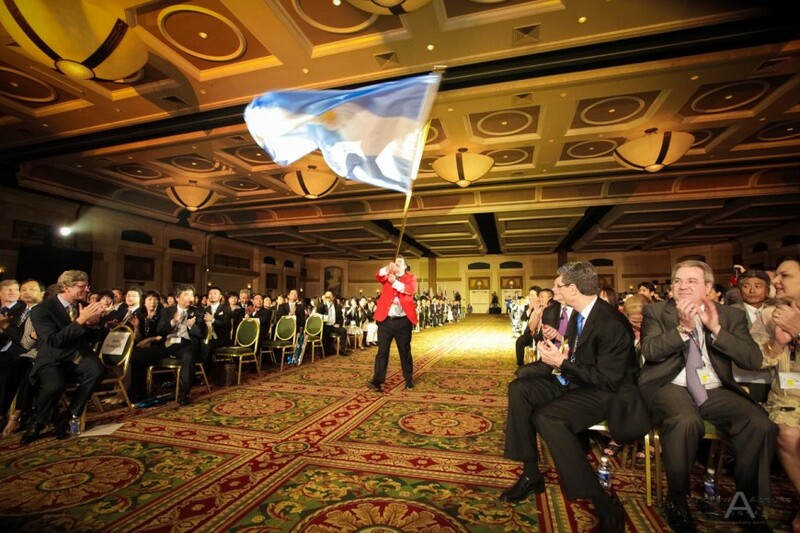 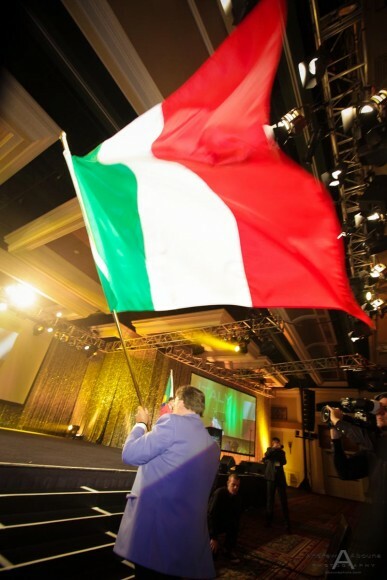 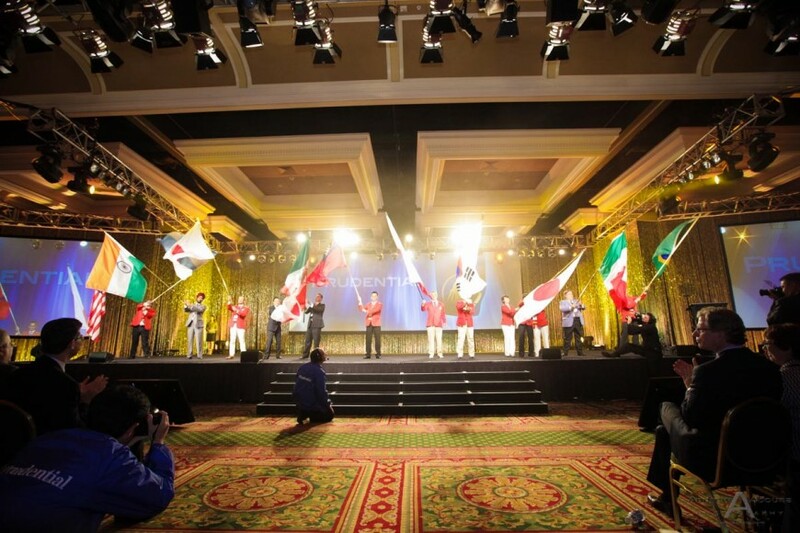 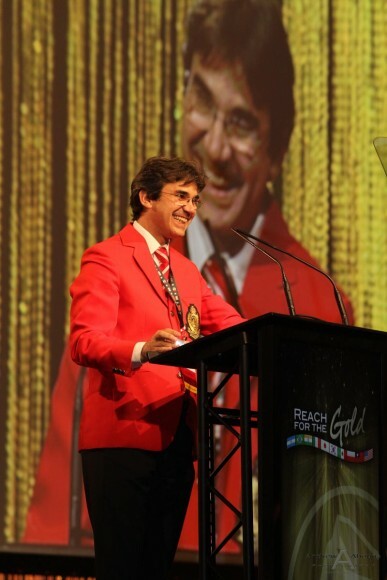 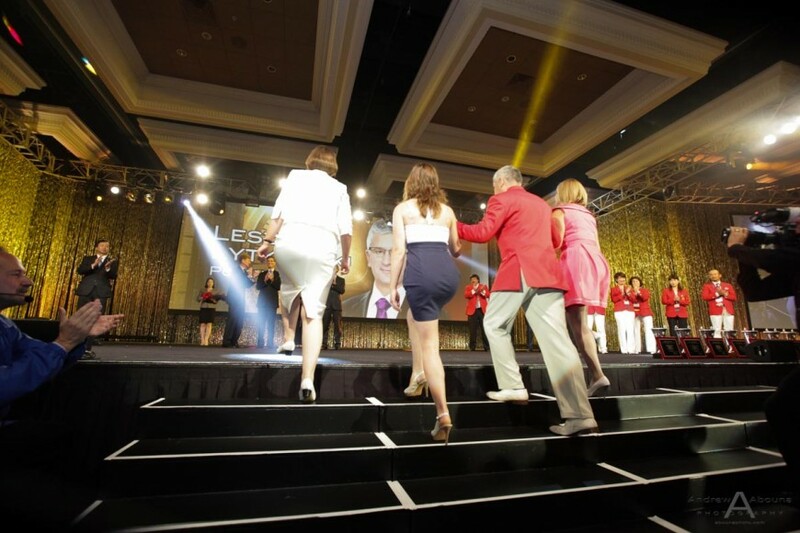 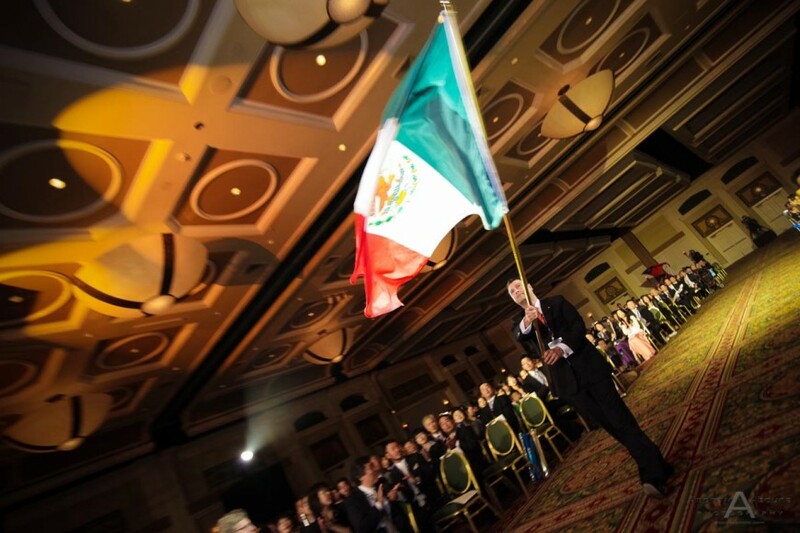 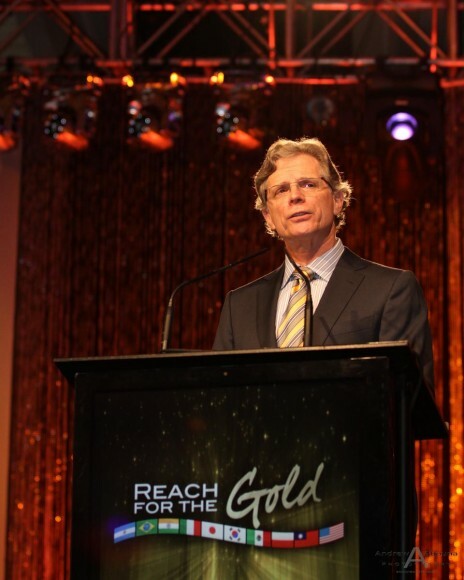 This portion of the event was followed by remarks from Prudential executives, including John Strangled, then there was a grand entrance of flags for each of the 9 countries in attendance and the first of two days of awards ceremonies. 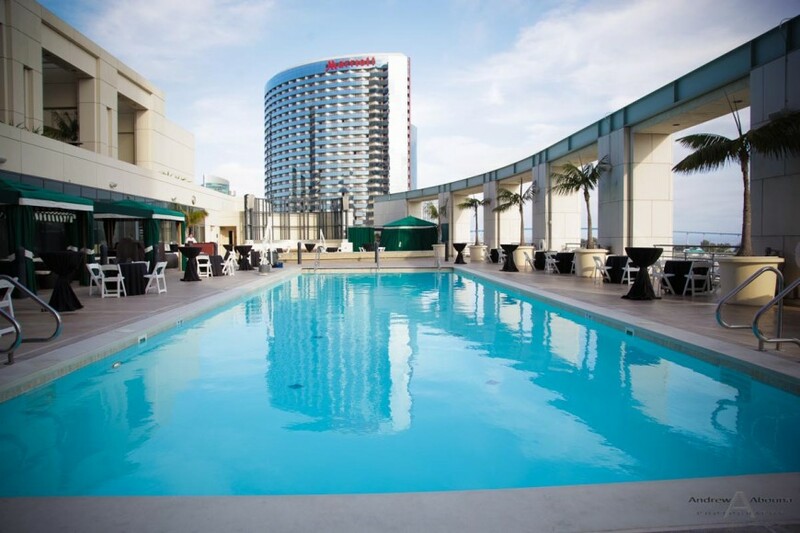 Later that evening a leaders’ poolside the reception was held poolside at the Manchester Grand Hyatt. 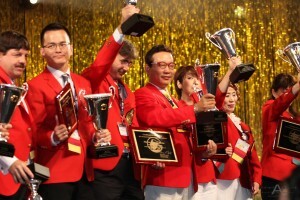 The fifth and final day of conference photography for the San Diego event captured another full day of awards presentation. 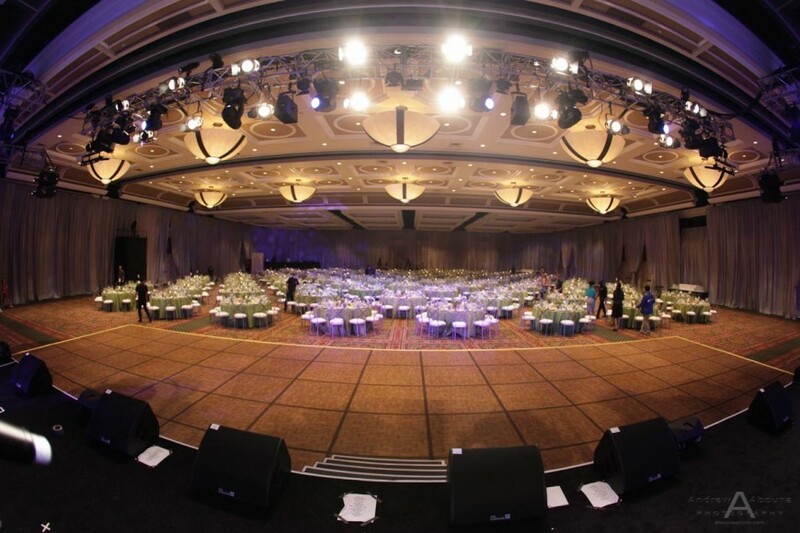 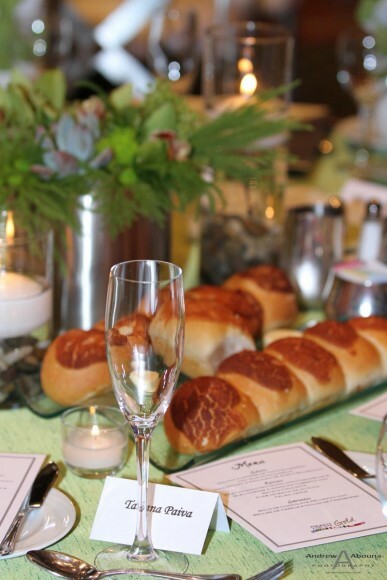 In the evening a large, format banquet was held in the ballroom at the Hyatt. 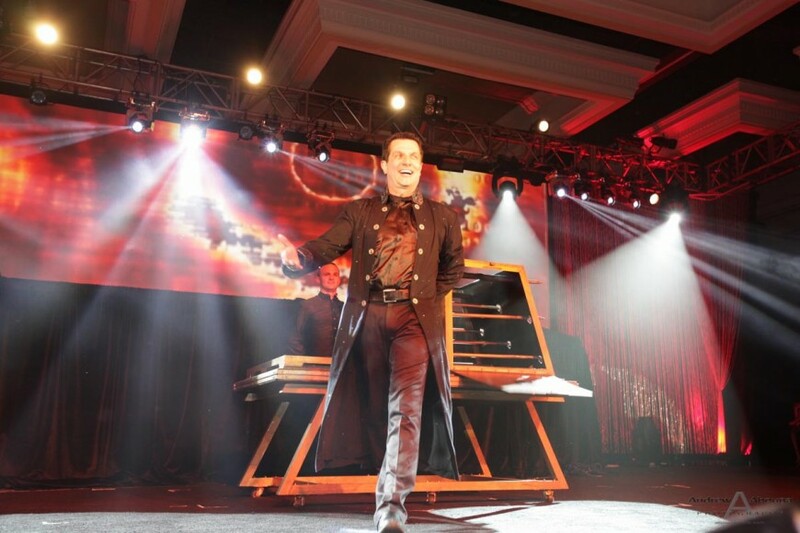 Following the meal there was a very interesting performance by Illusionist David and his team, which included acts such as disappearance and appearances, and even levitation. 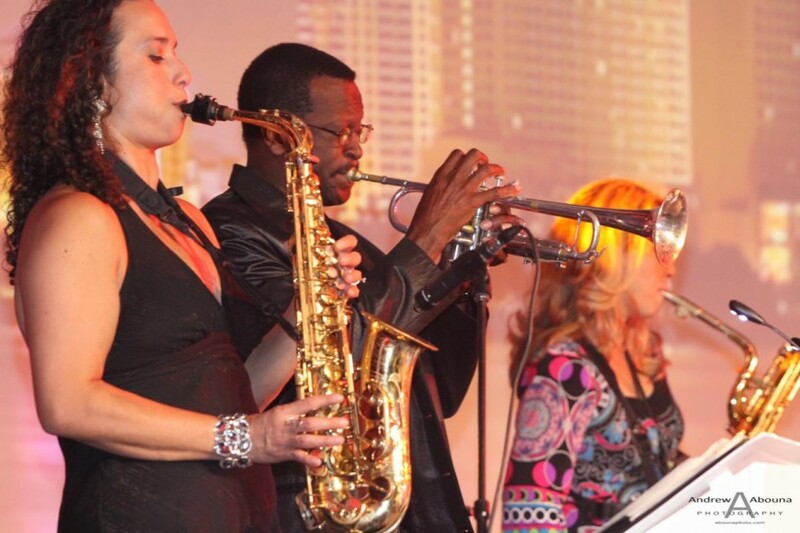 Afterwards the audience was entertained with a nice collection of live music by The Zippers dance band and a large dance floor which guests were delighted to use. 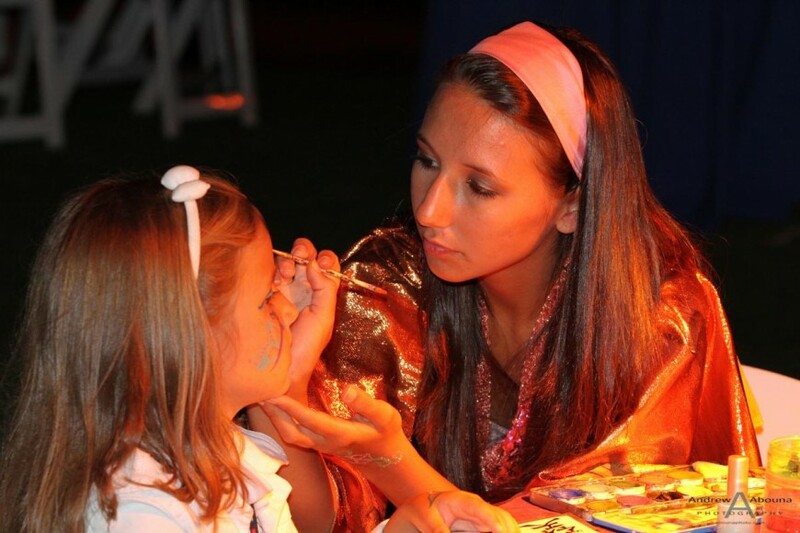 To find out more information and rates for event photography, please contact me.